Throughout the United States of America there is a large amount of National Parks. These parks are operated by the National Park Service and can only be established by an act of the US Congress. Yellowstone was the first natural area to be designated a National park in 1872 by President Ulysses S. Grant; since then a plethora of other regions have joined the list, and the USA currently boasts 59 National Parks. To qualify as a National Park, the natural area must meet certain criteria such as providing an outstanding region of natural beauty, an unusual ecosystem or a plethora of recreational activities for example. Due to the varied landscapes of the United States, these parks are hugely diverse. Yosemite National Park for example contains sweeping forest covered valleys and rock formations such as El Capitan, whilst Arches National Park contains over 2000 sandstone arches and a stunning desert landscape. These parks are a hugely important aspect of American culture and heritage, and the nation takes immense pride in the variety and beauty of its many protected regions. 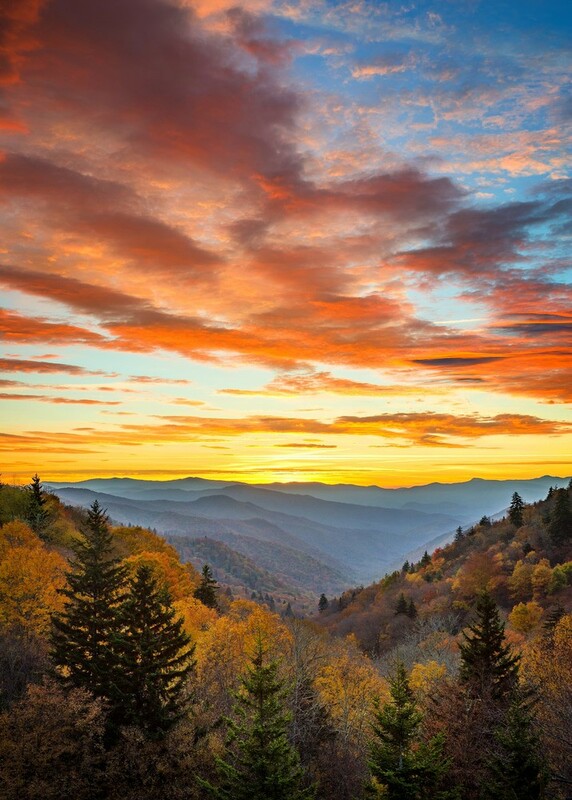 As the most visited National Park in the US, the Great Smoky Mountains is hugely popular due to its beautiful and dramatic landscapes and myriad of hiking opportunities. The landscape of this park includes a range of mountains, deep valleys and luscious forests. Within the boundaries of the park you can find an endless amount of hiking trails plus some interesting historical sites such as Cades Cove, the Roaring Fork stream and Cataloochee Valley. 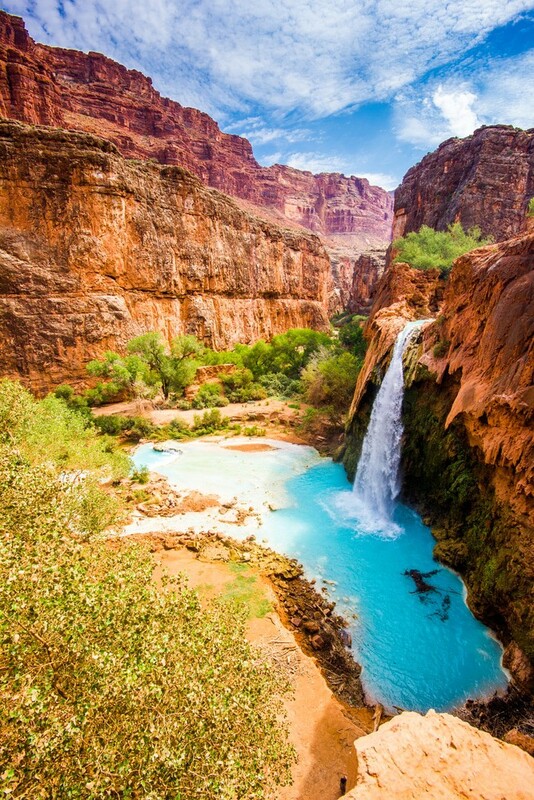 The Grand Canyon is one of the most well-known and renowned natural landmarks in the world – this is the largest canyon in existence and covers an area of 1.2 million acres in the northern region of Arizona. This epic canyon has been formed over millions of years and was crafted by the Colorado River – indeed the river still runs through the canyon today. Millions of visitors travel to the Grand Canyon every year and it is easy to see why – the enormity of this region is breath-taking and the views from the Northern and Southern Rims are simply superb. 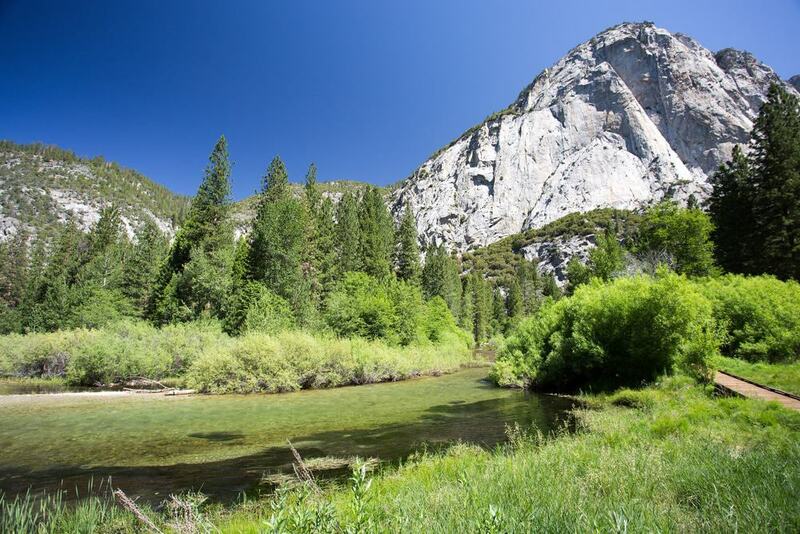 Yosemite is one of the most popular National Parks in California and spans Tuolumne, Marisposa, Madera and parts of the Sierra Nevada mountains. This park actually has the accolade of being designated a World Heritage Site in 1984 and it continues to be a popular holiday destinations for Americans and tourists. Yosemite is famous for its immense granite cliffs, abundance of beautiful waterfalls, giant sequoia groves and its epic wilderness. Yosemite Valley itself is the most popular area and contains several prominent natural landmarks including the Half Dome, The Three Brothers and El Capitan. Travel to Yosemite if you love the outdoors and enjoy hiking and climbing. The Rocky Mountains are one of the most well-known mountain ranges in the USA and the section that sits in the northern region of Colorado above Denver is a sublime National Park. This park was established in 1915 and has since been designated a UNESCO World Biosphere Reserve. The Rocky Mountain Park consists of a series of immense mountains and deep valleys and even several glaciers such as Andrews Glacier. This region is also known for its diverse ecosystems and wide range of plant and animal life. Wildlife within the park includes Elk, Wolverines, Grizzly Bears, Bison and Bobcats to name a few. This is yet another fascinating park for those who seek adventure and appreciate the great outdoors. 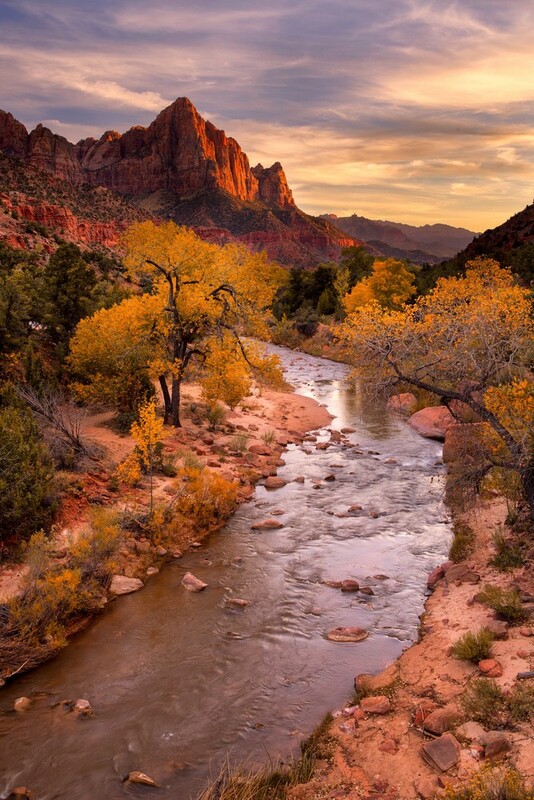 Zion is an immensely popular National park located in the southwestern United States in Utah – although this relatively small park only covers an area of 146,000 acres, it is one of the most visited in the state and has some fantastic attractions and features. One of the main sites within the park is the impressive Zion Canyon – this natural landmark is 15 miles long and has a beautiful colouration from the Navajo Sandstone. Notable landmarks within the park aside from the canyon include the Kolob Canyons, The Three Patriarchs, Horse Ranch Mountain and the Twin Brothers peaks. The infrastructure within this park is fantastic and there is a tramline used for transportation and a plethora of information offices and ranches. Most people will have heard of Yellowstone National Park and it is a wonder that this area of natural beauty is not the highest ranked by attendance. Located in the north western corner of Wyoming, Yellowstone is famous for its epic super volcano system and geyser that is lovingly named “Old Faithful”. Old Faithful erupts like clockwork every 91 minutes and this is a major attraction within the park. Aside from the volcanic landscapes, Yellowstone also has a varied ecosystem including vast meadows, pine forests and mountains. This park is undoubtedly the main attraction in Wyoming and the visitors centre and facilities are second to none. 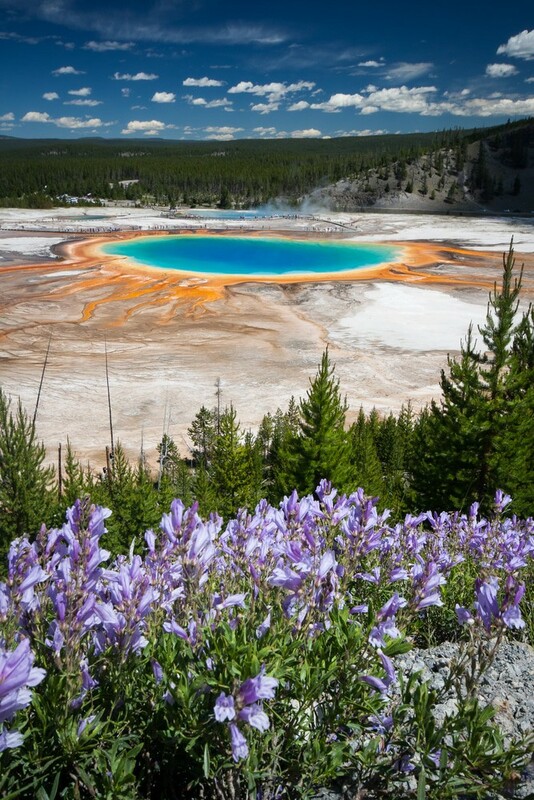 When visiting Yellowstone don’t forget to see the epic Grand Prismatic Spring and the Excelsior Geyser Crater. 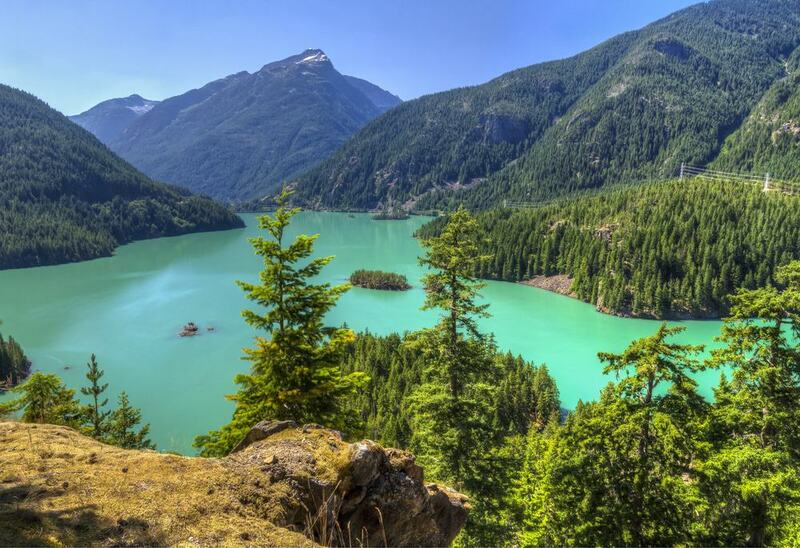 The north western states of the United States are known for having vast areas of ancient forest and the Olympic National Park boasts one of the most extensive woodlands in the country. This park is located in the far west of Washington just below Vancouver Island across the bay from Seattle. Olympic Park actually has four different regions – the epic Pacific coastline, the western temperate rainforest, the alpine regions and the drier eastern forests. The coastline has a series of sandy beaches and sweeping bays, whilst the centre of the park contains a series of glaciated mountains such as Mount Olympus and Mount Deception. Camping and hiking within the forests or coastline are popular pursuits and the variety and enormity of this park provides an endless array of attractions and sites. 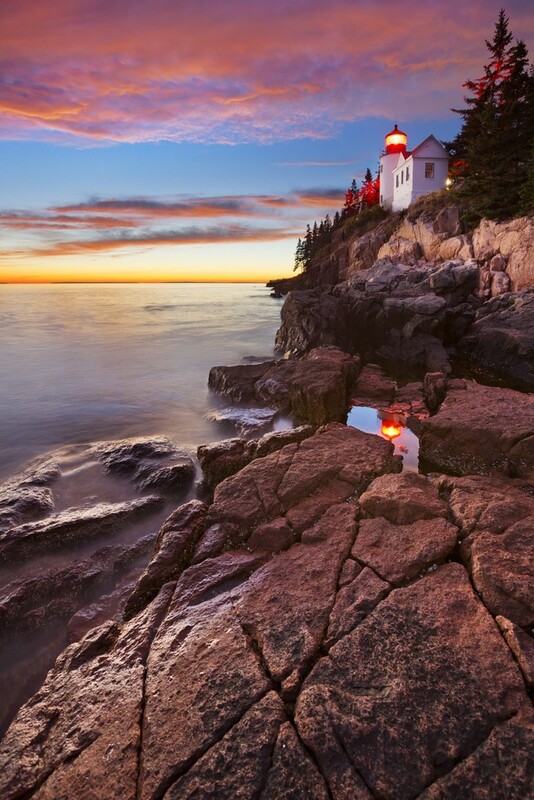 Acadia National Park is one of the few parks that is located exclusively on an Island – this park can be found on the southern coast of Maine on Mount Desert Island and the surrounding archipelago. This region was historically inhabited by the Wabanaki Native Americans and was turned into a National Park in the 1920’s. Acadia has a varied landscape including woodland, mountains and rugged shorelines. Notable landmarks within the park include Mt. Penobscot, Jordan Pond, Otter Cove, Echo Lake, Thunder Hole and the Schoodic Peninsula. Wildlife found on the islands includes beavers, deer, minks, black bears, coyotes, chipmunks and Gray seals. Acadia has a fantastic combination of marine and inland attractions and is one of the highlights of Maine. The Teton mountain range is a grand landmark in the northern parts of Wyoming and the surrounding region is known as Grand Teton National Park. This park covers an area of 310,000 acres and lies to the south of Yellowstone National Park. The Tetons are actually part of the Rock Mountains and this range constitutes a large part of the park. 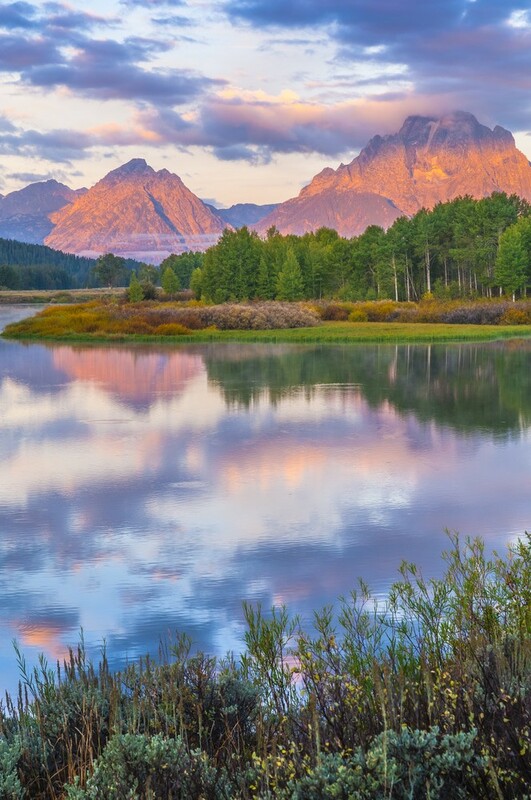 The other main feature is the immense valley known as Jackson Hole – this valley contains Jackson Lake, the National Elk Refuge and Snake River. The whole park has a varied ecosystem and you can look at glaciers in the mountains or study wildlife in the forests and plains. Grand Teton offers a range of hiking opportunities and scenic drives. This amazing park sits on the border between the United States and Canada in the northern region of Montana. Glacier National Park has some of the most pristine and beautiful landscapes in the country and covers an area of over 1,000,000 acres. This park contains a series of mountains such as Chief Mountain, and also a plethora of frozen lakes and natural lakes like Two Medicine Lake and Hidden Lake. Furthermore, Glacier has over 50 species of mammal including Bighorn Sheep, Bison, Moose, Black Bears and Cougars. 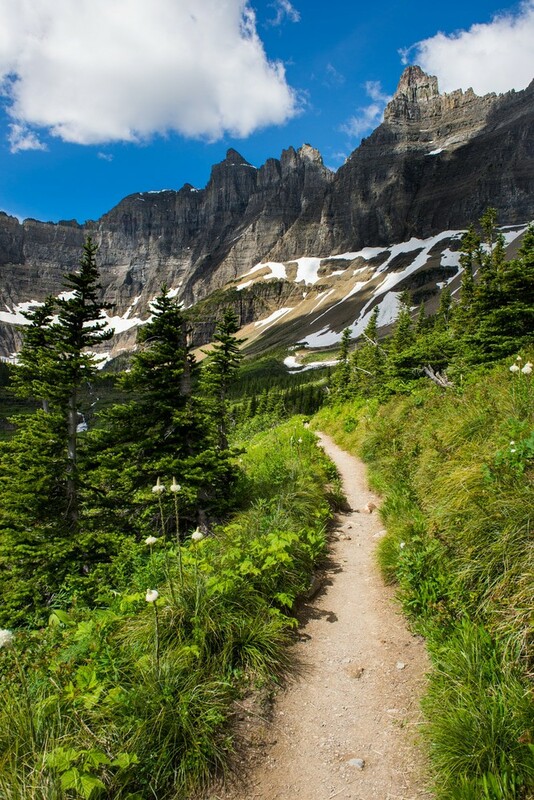 Notable landmarks of Glacier Park include Kintla Peak, Bowman Lake, Going to the Sun Road and Logan Pass. Aside from hiking and climbing, fly fishing is also a hugely popular activity. This Park is one of the most recent additions to the National Park repertoire and was designated in 1994. This National Park can be found in the south western part of California to the east of LA and San Diego and is famous for its Joshua Trees and gorgeous desert wilderness landscapes. 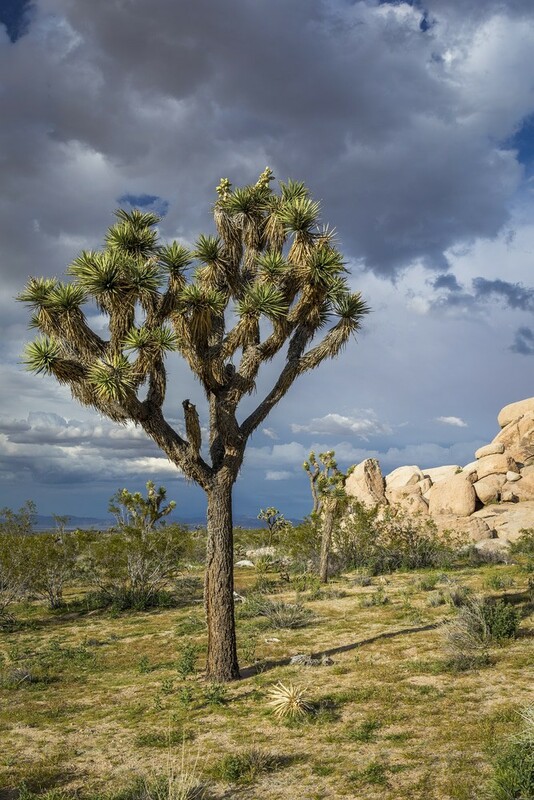 The Joshua Tree Park is actually part of the Mojave and Colorado Deserts and features a myriad of rocky barren regions, desert forests, grasslands, dunes and scrub. Popular activities within the park include hiking through regions such as the hidden valley, climbing, astronomy and bird watching. The landscape of the Joshua Tree Park will leave you mesmerised and exhilarated. 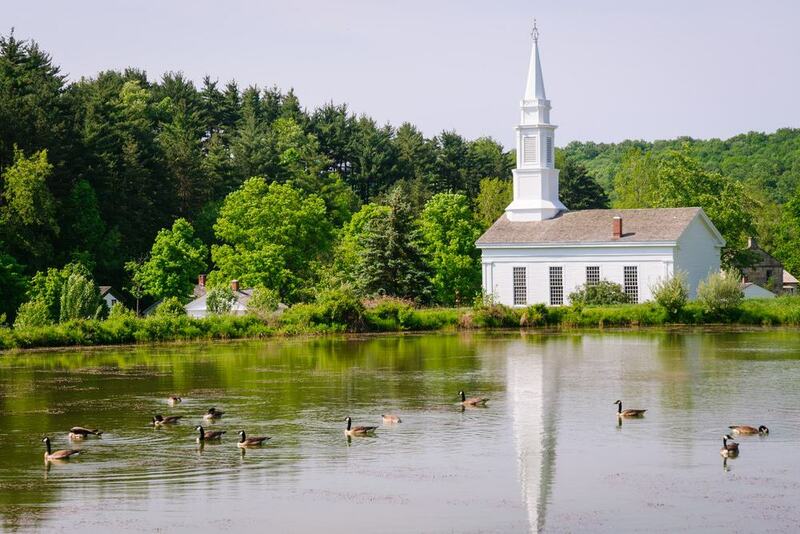 Cuyahoga Valley is one of the smaller national parks but due to its close proximity to the city of Cleveland it still attracts a high amount of annual visitors. The Cuyahoga River runs through the centre of the park and the surrounding valley is full of verdant forests. Notable landmarks within the park include Cuyahoga Falls, Lake Arkona, Lake Warren and Stanford House. Furthermore the Ohio and Erie Canal trailhead is a popular walking route that passes by a range of historical sites and follows the path of the old Erie Canal. Cycling and Hiking are the most popular activities within the park; additionally many people come to seek out the wildlife including falcons, otters bald eagles and herons. Utah is a state that has several National Parks and preserved areas and Bryce Canyon is one of the most popular next to Zion National Park. Bryce Canyon is located in the central southern region of Utah to the east of Zion National Park and in close proximity to the Grand Staircase Escalante. 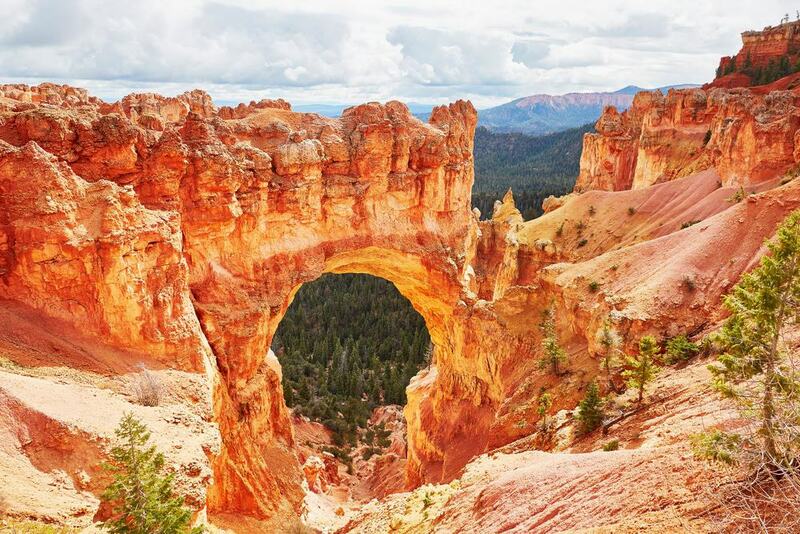 The main feature of this park is Bryce Canyon itself which is actually a series of rocky amphitheatres that contain beautiful hoodoos formations. These hoodoos are simply spectacular and have formed over thousands of years into some fabulous shapes such as Thor’s Hammer. Although the canyon looks like a desert landscape, it contains a myriad of fir tree forests and during the winter months you can regularly see snow on the ground. Horse Riding and Hiking are popular pursuits especially along Rim Trail. The Island chain of Hawaii has some truly diverse and mesmerising landscapes and the Island of Hawaii itself is home to a series of active and semi-active volcanoes. The Hawaii Volcanoes National Park is located on the southern coast of the island and encompasses two of the state’s largest and most active volcanoes – Kilauea and Mauna Loa. 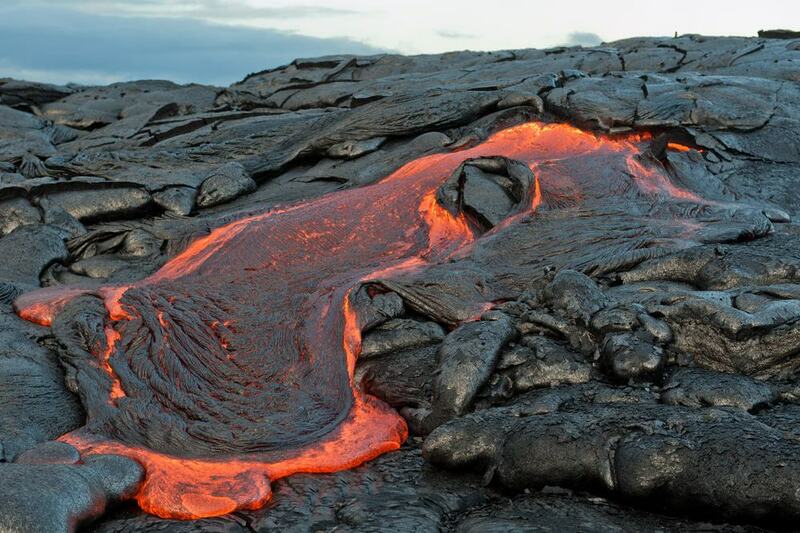 Kilauea is one of the most active volcanoes in the world, and Mauna Loa is one of the largest shield volcanoes. The park covers an area of 323,000 acres and is an area of intense scientific interest. Many people take guided tours of the volcanoes or head to the visitors centre, and Volcano Art centre. 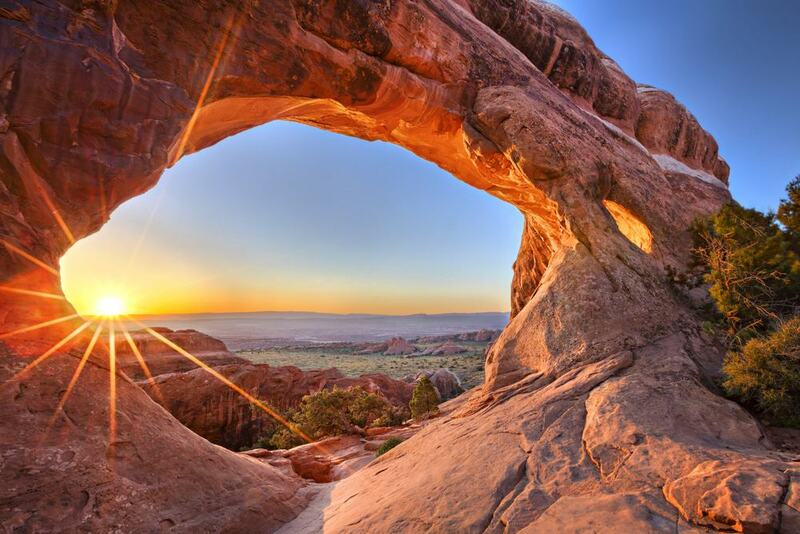 The Arches National Park is considered one of the most beautiful desert landscapes in the United States and has over 2000 natural sandstone arches – hence the parks name. 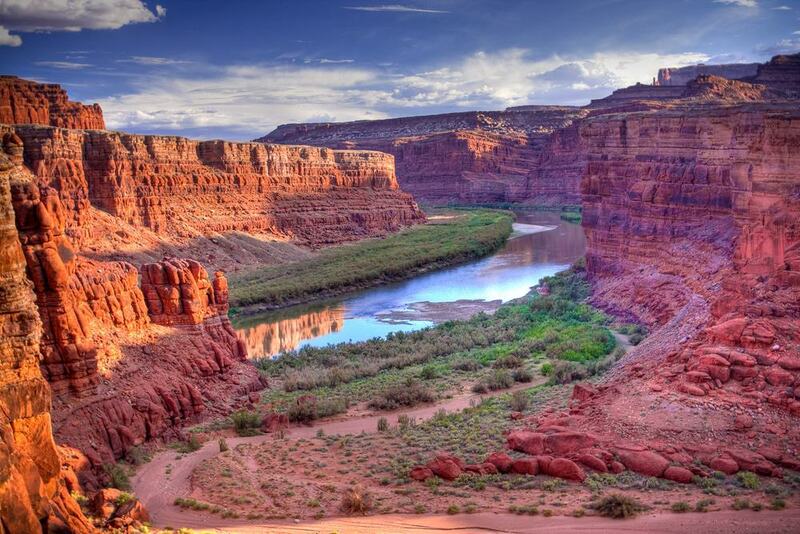 This park lies in the eastern part of Utah to the north of the town of Moab and covers an area of 76,679 acres. For those who enjoy scenic drives, the Arches Scenic Drive is one of the most enthralling roads in Utah and cuts through the middle of the park – there are numerous laybys where you can stop to take photos or go hiking. This park is also perfect for rock climbing and hiking although the named arches cannot be scaled to protect their integrity. Notable landmarks include The Tower of Babel, the Delicate Arch, The Three Gossips and The Balanced Rock. The Hot Springs National Park is one of the few parks that is located within a town and is based around a main street and buildings. 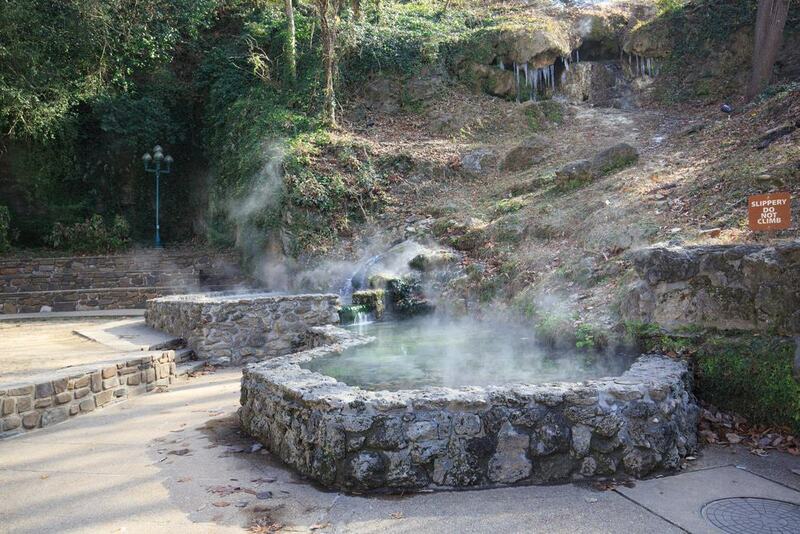 This park is located in the town of Hot Springs in central Arkansas and is a renowned spa area whose waters are said to have fantastic healing properties. The main attractions of this park are the gorgeous historical bathhouses – Hot Springs has a myriad of bathhouses such as Lamar Bathhouse, Ozark Bathhouse and Quapaw Bathhouse; most of these are situated on Bathhouse Row and are available for public use. Aside from the bathhouse, the park also has a wonderful array of walking trails that snake around Hot Springs Mountain. 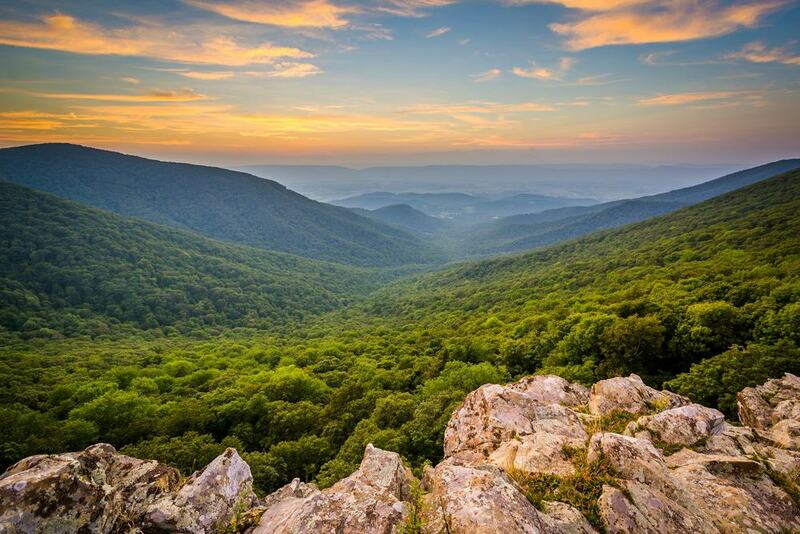 Shenandoah is located in the state of Virginia and is known for its gorgeous forests and the famous Blue Ridge Mountains in the Shenandoah Valley. This is the most famous park in Virginian and has even been mentioned in several iconic songs. One of the main features of Shenandoah is the epic Skyline Drive – this 105m long byway runs the entire length of the park from north to south and offers some absolutely stunning views of the luscious forests. For those who love wilderness camping and hiking, the forests of Shenandoah provide endless opportunities. Furthermore the park contains a handful of gorgeous waterfalls and an abundance of wildlife such as Black Bears and Deer. Mount Rainier National Park encompasses the Mount Rainier Stratovolcano which is considered to be one of the most dangerous in the world. This mountain is the tallest in the State of Washington and the National Park surrounds this prominent landmark and covers an area of 236,000 acres. 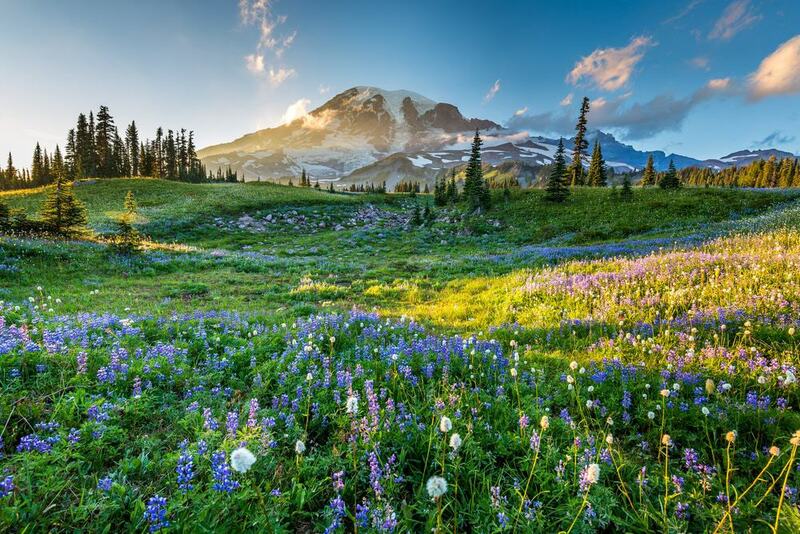 Wonderland Trail is the most popular attraction in the park aside from Mount Rainier itself – this 93 mile long hiking trail encircles the whole park and to complete it from start to finish could take as long as 14 days. The park also contains several sub-parks such as Ohanapecosh Park that can be reached from the trail and offer a diverse variety of landscapes. For the truly adventurous and ultra-fit, there is always the possibility of attempting the three day journey to conquer the summit of Rainier itself. 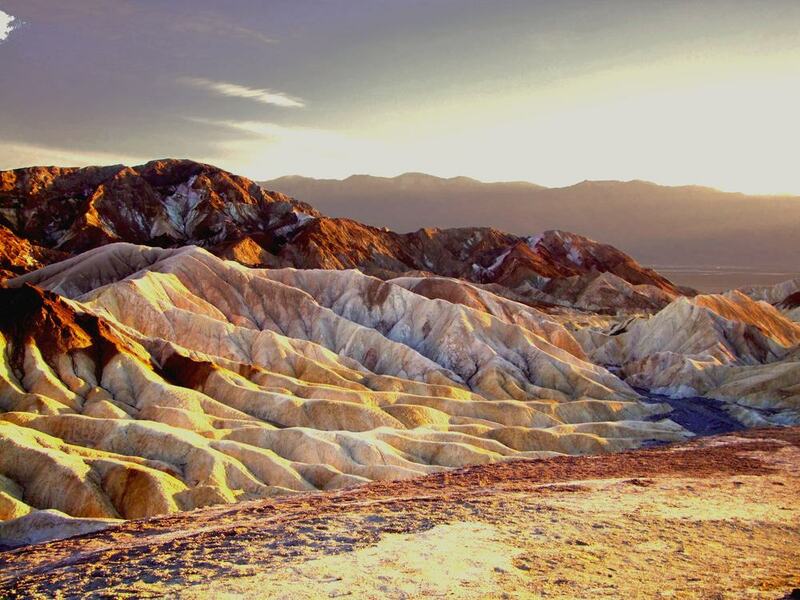 Death Valley National Park sits in the westernmost region of California and partially spans into neighbouring Nevada. This intrepid part of California contains vast stretches of the Mojave Desert, salt-flats, Badlands, canyons and gorgeous sand dunes. Death Valley has been designated an International Biosphere reserve and contains some important ecological end environmental features. Notable landmarks of the valley include Mosaic Canyon, Mesquite Springs, Lake Badwater, the Devil’s Golf Course and Badwater Basin. Popular activities in the park include mountain biking, hiking, wilderness camping, and even motor biking. Halekala is another fantastic National Park located in the state of Hawaii. This park can be found on the Island of Maui and covers an area of 33,265 acres which makes it one of the smallest National Parks. The main feature of this park is the immense but dormant Haleakala Volcano that hasn’t erupted since the 17th century. Another prominent feature is the Kipahulu forest reserve and the Haleakala Observatory. 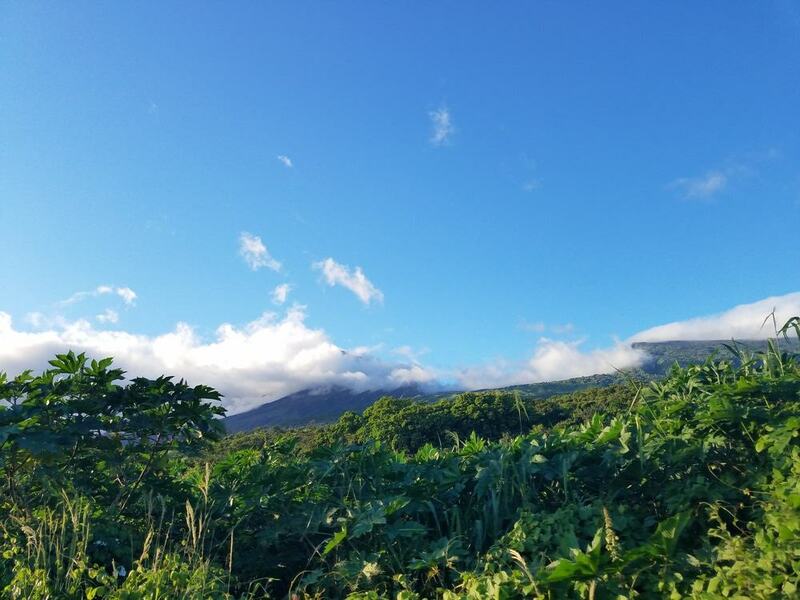 It is possible to take tours of the volcano and the surrounding regions, and for those who seek adventure there are numerous hiking trails throughout this amazing landscape. The Sequoia forests of the western regions of America are some of the oldest and largest trees in the world. The Sequoia National Park is full of these ancient and immense trees and sits in the northern part of the vast forests that start at Lassen National Forest in the north. The park spans over 404,000 acres and much of this region is covered in Sequoia groves. This park is known in particular for containing General Sherman which is the largest living tree in the world. Other features include the High Sierra Trail, Moro Rock and Crescent Meadow. Utah has a plethora of National Parks and Capitol Reef is one of the more understated – this fantastic desert landscape has some hugely interesting features such as canyons, monoliths, buttes and rock ridges. The park is part of the Waterpocket Fold and extends for some 100 miles across this impressive landscape. Most people visit the park from the town of Torrey and choose to camp within the park itself. 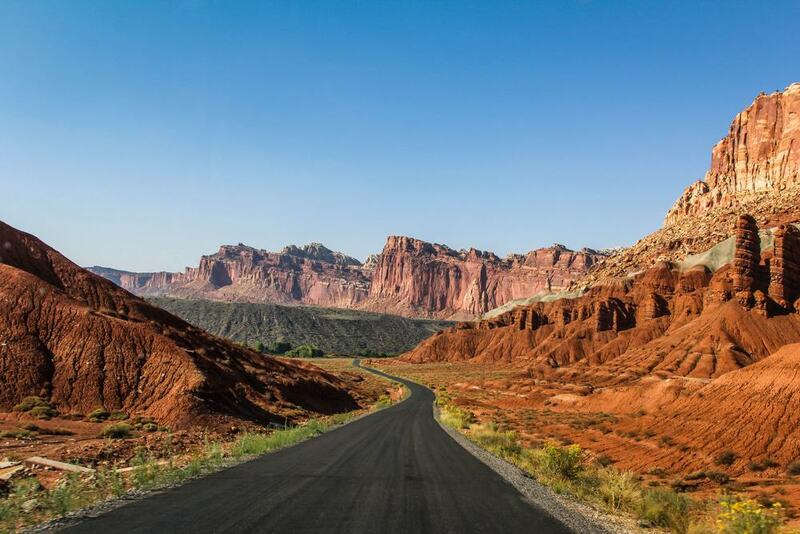 Capitol Reef is an epic region and for those who love exploring desert terrain there is no better place. Notable landmarks include the Golden Throne Mountain, the beautiful natural Hickman Bridge, the narrow Capitol Gorge and the old Fruita School House. The Badlands is a fascinating park in the southwestern region of South Dakota and contains a varied landscape that is like no other in the United States. Part of the Badlands is composed of a series of eroded buttes, rock pinnacles and spires – these beautiful rock formations have a stunning coloration and have been formed other thousands of years. The majority of the park is covered in vast grass prairie lands – these prairies were used as hunting grounds for the Native Americans. Wildlife found in the Badlands includes Prairie dogs, Bison, Bighorn Sheep and Elk. The Badlands has two overnight campgrounds, and a series of hiking trails that wind throughout the park – hiking and fossil hunting are popular pastimes in this amazing landscape. The Everglades is one of the most well-known protected areas in the United States and some people may find it surprising that it does not receive more visitors. This international biosphere reserve covers the southern part of Florida and represents just 20% of the original Everglades. 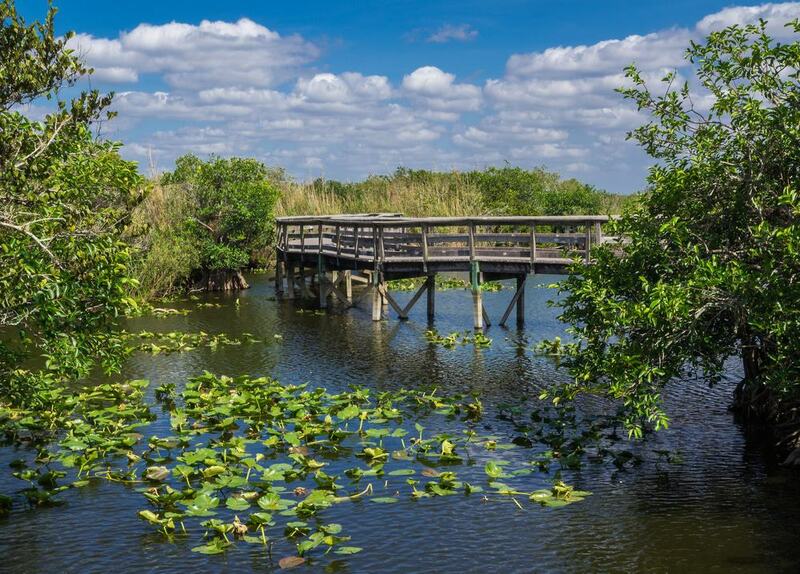 Most parks protect geographical features, but the Everglades protect an actual ecosystem – this is one of the most important ecosystems in the US and contains a wide range of flora, fauna and wildlife. Most people will take guided boat tours through the Everglades and this is an amazing way to see the swamps and waterways. It is also possible to camp in the Everglades and walk through the various hiking trails. Don’t forget to watch out for the famous Everglades Crocodiles! 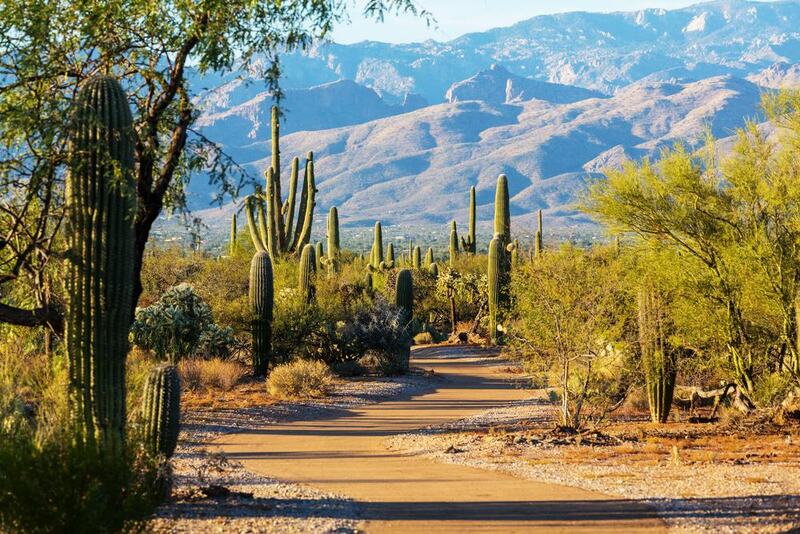 The Saguaro National Park is located in the southern part of Arizona next to the city of Tuscon. This park is split into two distinct areas – the Tuscon Mountain District, and the Rincon Mountain District. Both areas contain a diverse range of flora and fauna and preserve the rugged Sonoran Desert landscape. The plains are typical of what you would expect from Arizona and you can see the legendary Saguaro giant cactus throughout the park. Within the boundaries of the park you can find a range of hiking trails and driving routes such as the Bajada Loop Drive, the Cactus garden Trail and the Desert Discovery Nature Trail. Camping, cycling, hiking and horse riding are all popular pursuits within the park. Canyonlands is another mesmerising park within the state of Utah. This National Park is located in the south eastern part of Utah and contains a landscape bursting with bright desert colors. The Canyonlands landscape has been shaped by the immense Colorado River – the course of the river has eroded the rock and created a myriad of beautiful canyons, buttes and mesas. This park draws a large amount of annual visitors that are drawn to its epic landscapes, gorgeous desert scenery and plethora of hiking opportunities. Furthermore it is possible to go rafting and kayaking in both the Colorado and Green rivers. Notable landmarks within the park include Horseshoe Canyon, Cataract Canyon and the confluence of the Colorado and Green Rivers. Crater Lake is one of the most beautiful places of natural beauty in the state of Oregon and it is also the fifth oldest National Park in the US. 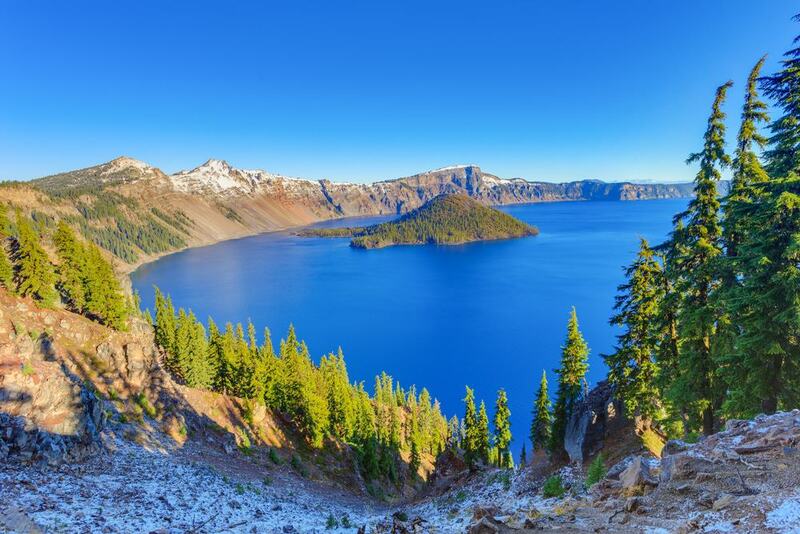 The main feature of this park is the absolutely stunning and picture perfect Crate Lake – this circular lake was formed from the caldera of a series of overlapping shield volcanos and is actually the deepest lake in America. Surrounding the lake there is a series of hiking trails that allow visitors to traverse this gorgeous landscape – popular routes include The Watchman, Lightning Spring, Cleetwood Cove and Garfield Peak. Throughout the park you can see some beautiful forests, a selection of waterfalls, and of course the stunning scenery of the pristine lake itself. 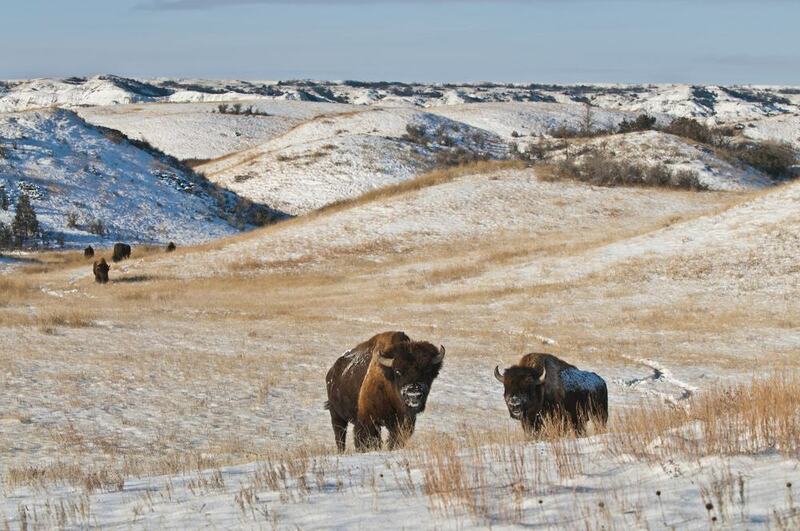 Located in North Dakota; the Theodore Roosevelt National Park is named after the 26th president of the United States. This park has three distinct geographical areas including a vast range of Badlands that separated by Interstate 94 and Highway 85. A main feature of the park is the Little Missouri River that runs through the centre of the park. This park is hugely accessible due to the well-developed array of scenic by-routes that pass through the rugged landscape. Furthermore, trails such as the Maah Daah Hey Trail provide fantastic opportunities for hiking and cycling. This parked is named after the president, as Roosevelt used to hunt in this region and had a lodge built. Wildlife within the park includes Bison, Coyotes, Cougars, Prairie dogs and even Golden Eagles. This National Park is located in both Navajo and Apache counties in the north-eastern region of Arizona. 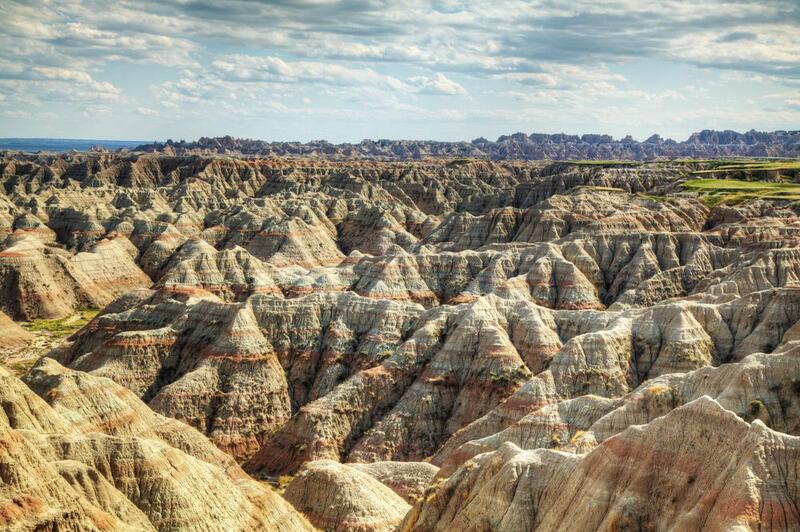 Although the park is predominantly barren desert landscape and Badlands, it is named after the large amount of petrified wood that can be found in deposits throughout the landscape. 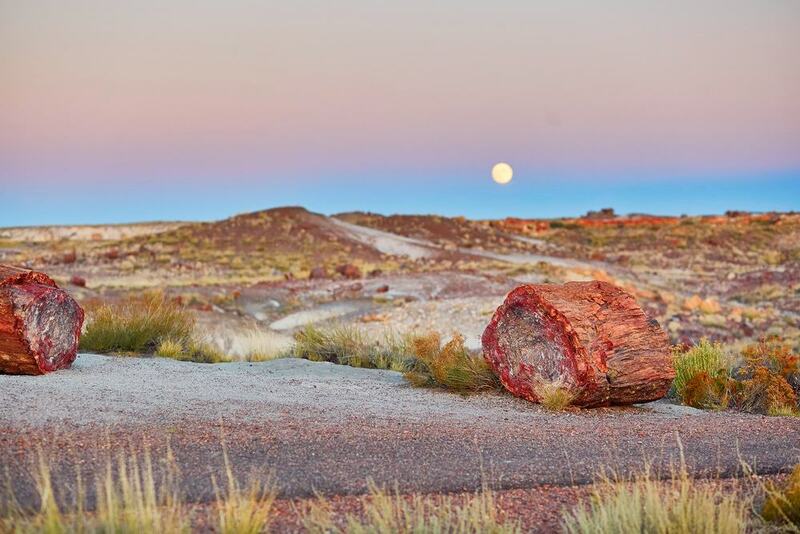 Main features found within the Petrified Forest include beautifully colored mesas, conical tepee rock formations and the gorgeous Painted Desert. You can also find a visitors centre and the Rainbow Forest museum; both of which provide an interesting history about the park. Throughout the park you can also find a plethora of hiking trails including the Crystal Forest Trail and the Painted Desert Rim – cycling is not allow however. This cave has the distinction of being the first cave to be dedicated a National Park in the world. The cave itself is one of the densest networks in the world and stretches for some 140 miles – features of the cave include beautiful frostwork and interesting boxwork formations. It is possible to take guided tours of this immense cave and witness the beauty of the frostwork first hand. 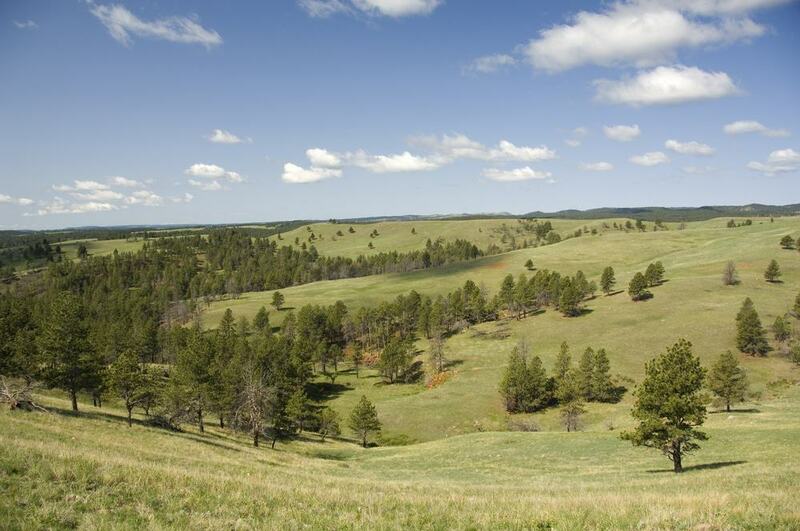 Furthermore, above ground, the park contains one of the largest open-plain prairies in the US and is a perfect place for camping and hiking. In the park you can see herds of Bison roaming the prairies, and also other wildlife such as ermines, cougars and bobcats. This National Park is located in the south eastern region of California above the Sequoia National Forest – this park like the aforementioned forest is known for its huge array of Sequoia Trees. Initially established in 1890, the park was created to protect the General Grant Grove of Giant Sequoias and has since been designated a Biosphere Reserve. Main areas of the park include the Redwood Mountain Grove that covers 3,100 acres, and the smaller General Grant Grove. 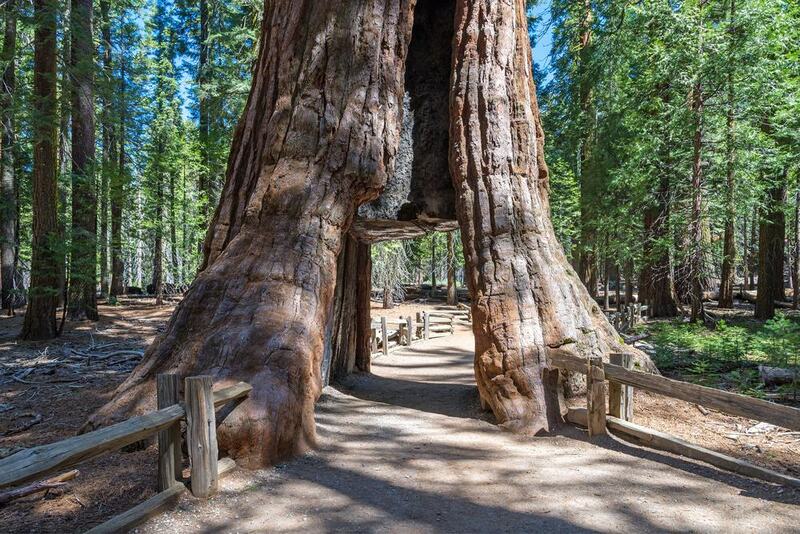 Many people visit this park to see the General Grant Tree which is the second tallest in the world, and to marvel at the fabulous and ancient sequoia groves. The canyon itself is also an interesting landmark and this glacial valley contains several campgrounds and exhilarating trails that wind through the forests. Denali is the highest mountain in the whole of North America and its National Park is the largest by area in the country too – the park and Denali Wilderness stretch out over 4.7 million acres and contains a fantastic mix of taiga forest, glaciers and mountainous landscapes. 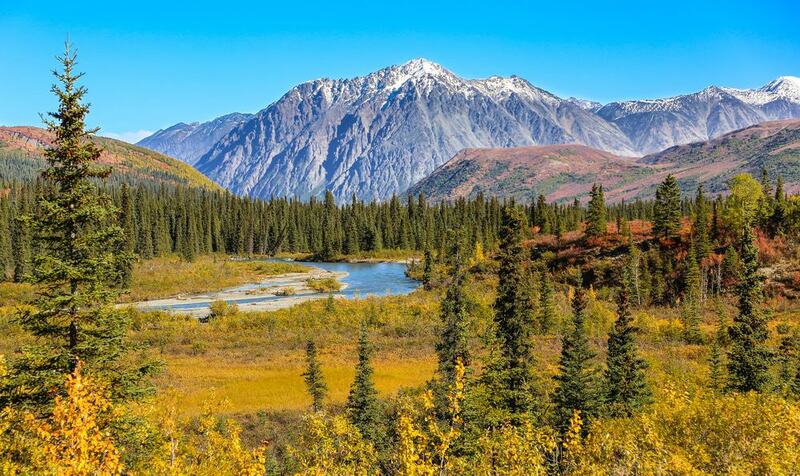 Although the park is immense in size, it is serviced by only one road – the Denali Park Road which passes by some absolutely jaw-dropping scenery. Throughout the park you can partake in a wide variety of activities such as snowboarding, hiking, climbing, dog-sledding and even cross-country skiing. For those who love the outdoors, this park and the epic Denali Wilderness is a true haven. Wildlife found within the park includes Grizzly and Black Bears, Caribou and Alaskan Moose. Mammoth Cave is the longest known cave system in the entire world and stretches for over 600km. 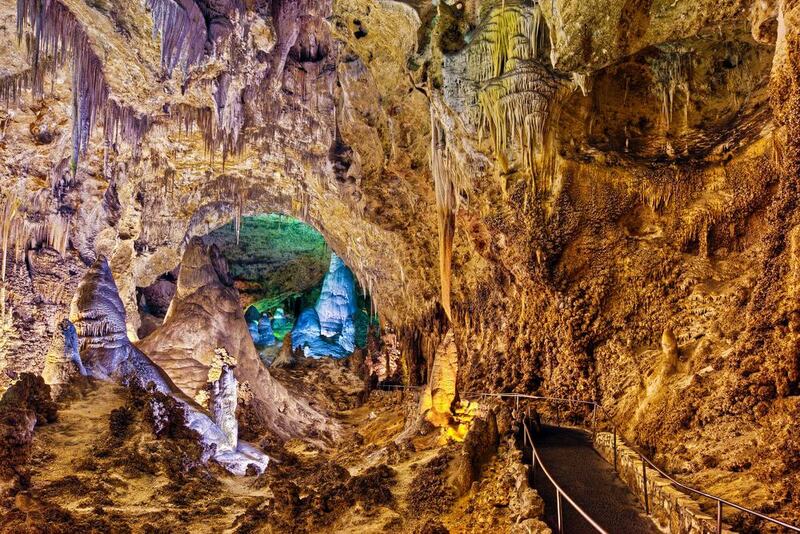 The Mammoth Cave National Park covers an area of 52,830 acres and was established in 1941. The park itself and the cave system can be found in the south western region of Kentucky not far from Bowling Green and Glasgow. Underground in the vast caverns of the limestone cave system you can witness a range of stunning geological features and formations such as Gothic Avenue and the River Styx. Wildlife within the cave include a myriad of different bat species, plus several types of cave salamander and cave fish. 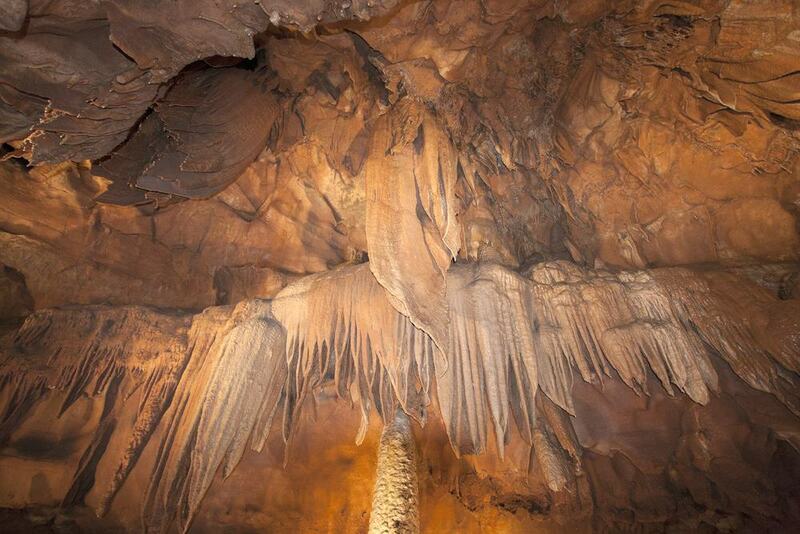 Guided tours of this fascinating cave system are the only way to appreciate the beauty of Mammoth Cave. 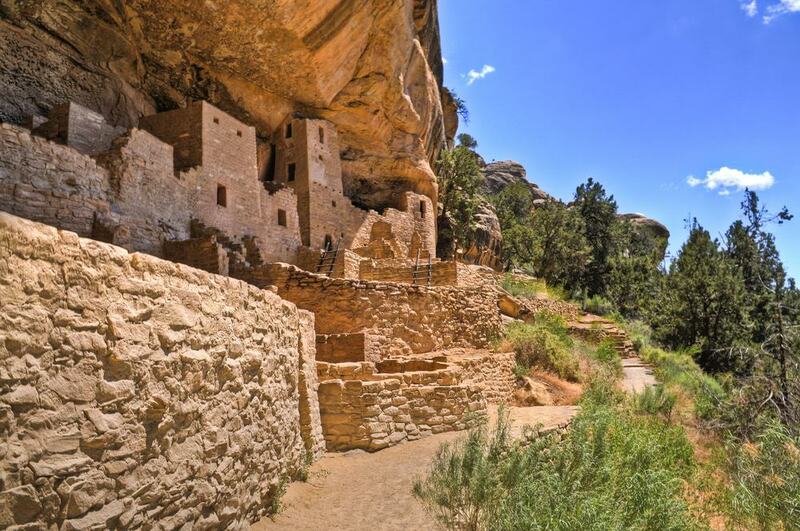 This park has achieved legendary status in the United States due to its huge array of cliff dwellings and is the largest archaeological preserve in the country. Mesa Verde has been inhabited since prehistoric periods by Paleo-Indians and throughout the years has seen the creation of a multitude of fascinating cave dwellings. The most famous is the Cliff Palace, Spruce Tree House and Oak Tree House. These dwellings have been carved into the Cliffside and have been maintained in fantastic condition due to the cliffs protection from the elements. Throughout the park there are several museums and tourist offices such as the Chapin Mesa Archaeological Museum. Aside from taking guided tours of these amazing structures, there is also a range of hiking trails in the surrounding region. 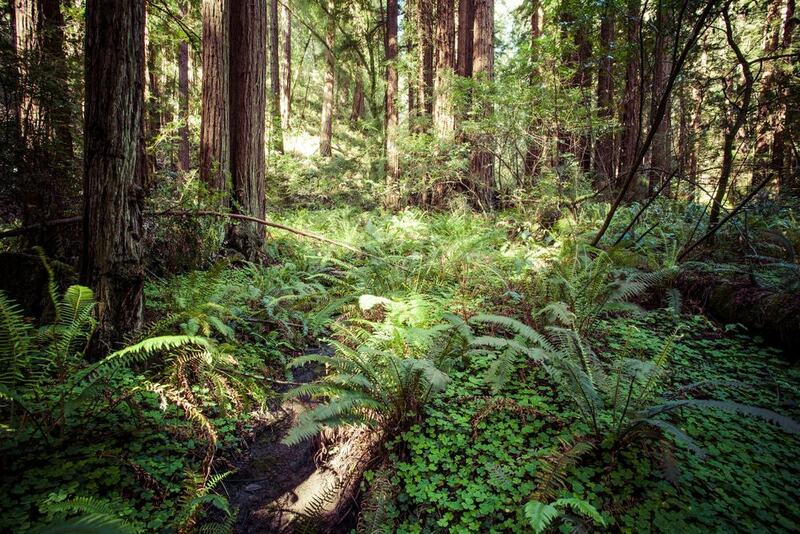 The Redwood Forests of Northern California are some of the oldest temperate rainforests in the world. This national and state park system is actually composed of four separate parks and the forests within the parks contain some of the oldest and tallest trees in the world. Both the coastal regions of the park and the huge forests themselves are wondrous places to explore and offer visitors the chance to walk among some of the last undisturbed forests of North America. Within the parks you can also find some rare wildlife such as the Northern Spotted Owl, the Bald Eagle and Steller’s Sea Lion. Visitors usually stay in neighbouring towns as there are now no hotels or hostels within the park, but there is plenty of hiking trails and back country campsites. 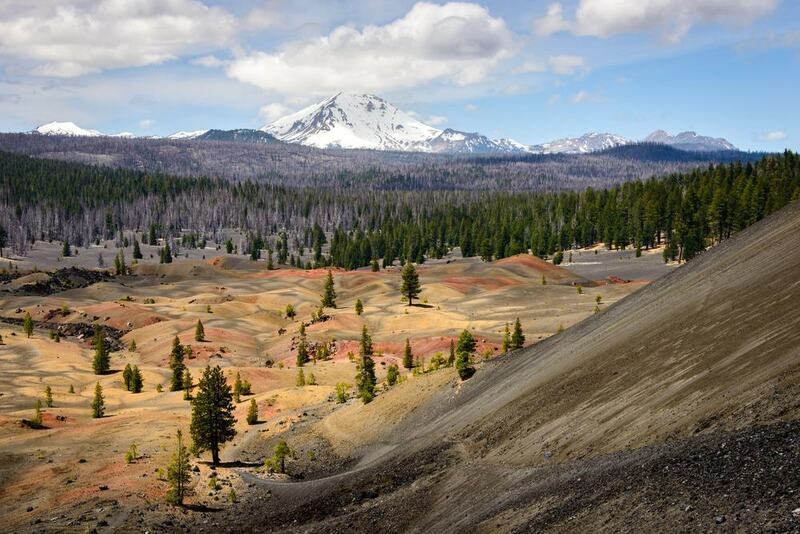 The predominant feature of Lassen Volcanic Park is Lassen Peak which is the largest plug dome volcano in the world. This fantastic park has a truly diverse landscape and features immense lava pinnacles, huge mountains, craters, sulfur vents, lakes, rivers and canyons. The eastern region of the park includes a huge lava flow and also a large pine forest. Wildlife within the park includes black bears, mule deer, cougar, coyotes, red fox and woodpeckers. 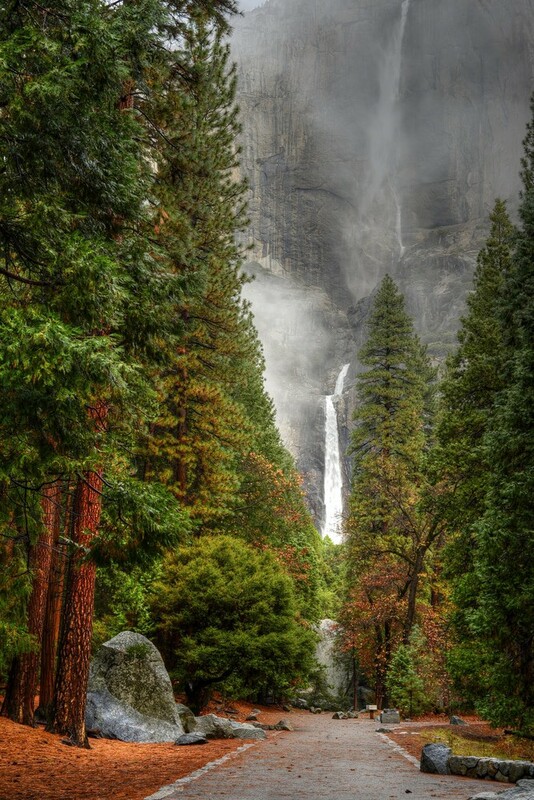 Located in the northern part of California, the park has 5 entrances, and several roads that pass through its centre. Furthermore you can also find several dedicated and well-maintained hiking trails such as the Pacific Crest Trail. Lassen National Park is a great place to visit and combines a fascinating landscape together with a wealth of natural landmarks and attractions. Glacier Bay is one of the few National Parks in Alaska and sits on the eastern coast of the state in close proximity to the Canadian Territory of British Columbia. This park is predominantly formed from glacial mountain ranges such as the Fairweather range, the St.
Elias Mountains and the Takhinsha Mountains. What makes this park famous however is the myriad of both tidewater and terrestrial glaciers (over 1000 in total). Notable glaciers include Margerie, Grand Pacific, Lamplugh and John Hopkins. 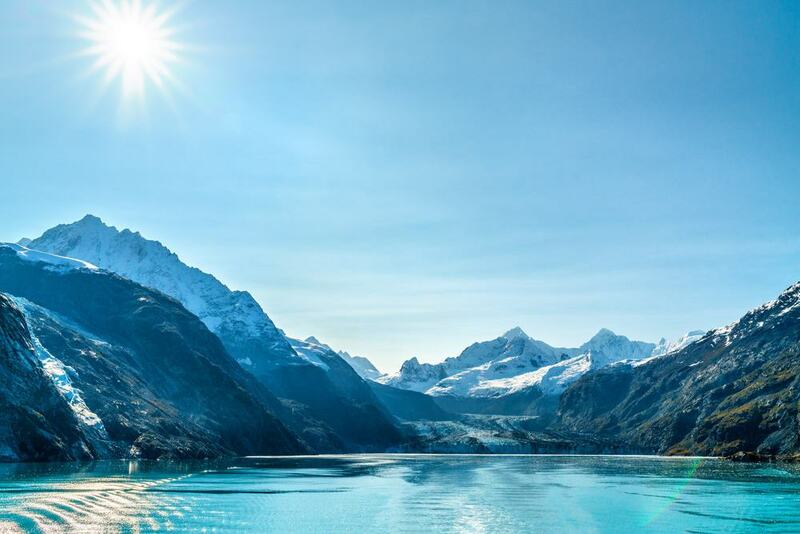 For the most part, this park is accessed by boat and many people visit Glacier Bay via cruise ship – the boats sail past and stop at some of the mighty tidewater glaciers. Aside from cruises, the park is also a fantastic place for outdoor activities such as fishing, hiking and rafting. 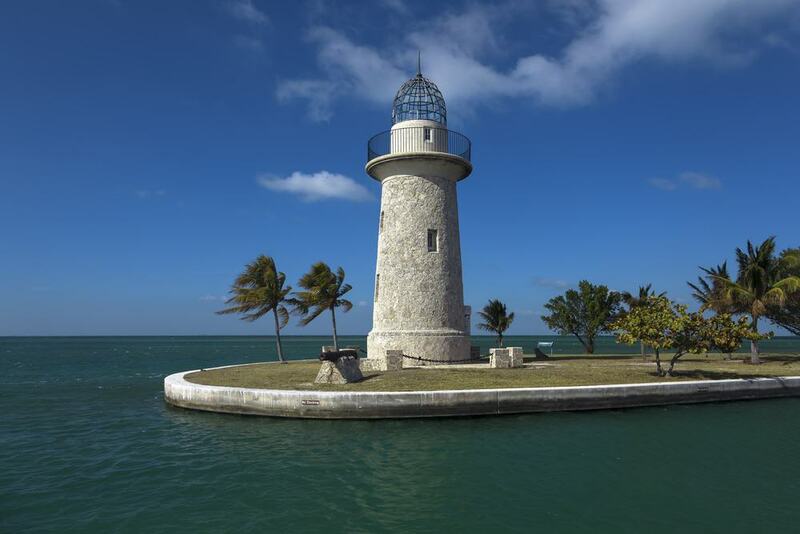 Biscayne National Park is practically the only US National Park that is almost entirely based in water. Over 95% of this national park is water-based and it aims to preserve Biscayne Bay and its offshore barrier reefs and mangrove forests. Within the park you can find four different ecosystems; mangrove swamps, shallow waters, coral limestone keys and offshore reefs. Many people opt to camp on the keys themselves but it is also possible to take private tours of the park that include snorkelling, paddling and sailing. Additionally it is possible to engage in swimming, windsurfing, kayaking and even scuba diving. For those who love water sports and activities, Biscayne is a fantastic place to visit. The Carlsbad Cave network is located in the southern region of New Mexico only some 20km from the border of Texas. The main feature of this National Park is Carlsbad Cavern which exhibits some exceptional subterranean scenery and rock formations. Above ground, much of the park has been designated as a protected wilderness area. Inside the cave, you can see a range of different named rooms such as Bell Cord Room, Bifrost Room, Balloon Ballroom and the Bat Cave. Each room has some beautiful features such as stalactites, bridges and underground lakes. Visitors can freely access the cave network and walk around the wooden walkways themselves, but guided tours are available and special night time and evening viewings are available to see the bats. The US Virgin Islands are a small chain of Islands in the Caribbean. 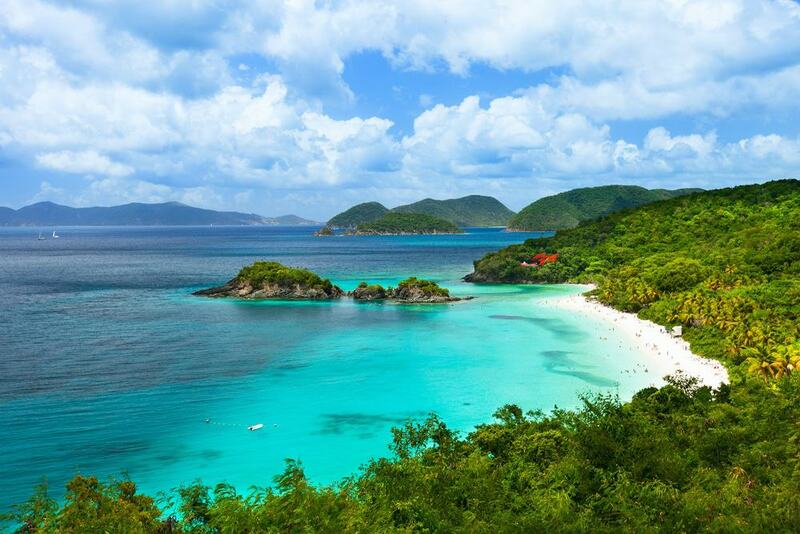 The Virgin Islands National Park is predominantly based on the Island of St. John but also the smaller island of Hassel. This park is a hugely popular location for Scuba Diving due to the beautifully clear waters that surround the island and the abundance of marine life. To travel to the park you can catch one of the regular ferries that travel from St. Thomas. Aside from the snorkelling, the island also contains some stunning beaches and bays such as Caneel Bay and Trunk Bay. If snorkelling or lounging on the beach is not your idea of fun you can explore one of the many hiking trails and take in the gorgeous tropical rainforests and coastal regions of this magnificent park. 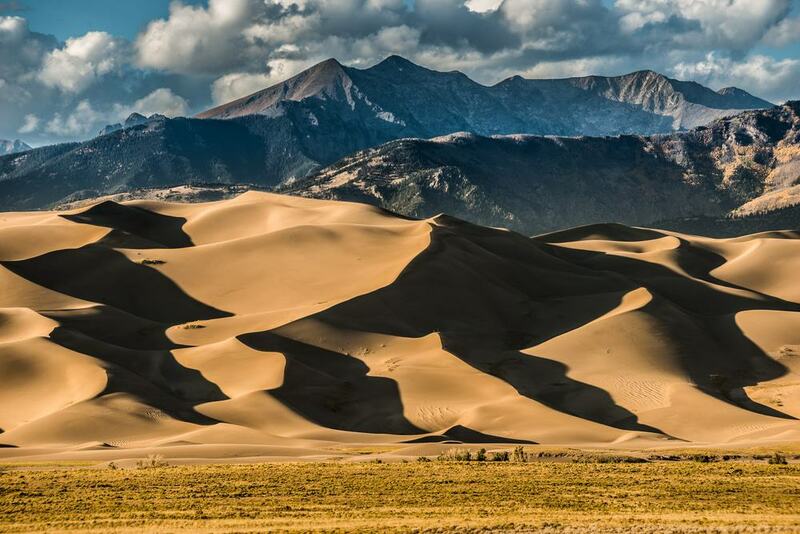 The Great Sand Dunes are located in the southern region of Colorado and contain the highest dunes in the whole of North America. These sand dunes have been created over hundreds of thousands of years from sand deposits from the Rio Grande River. The largest dune is Star Dune that stands at some 750ft high – views from the top of this natural phenomenon are simply stunning and the North Zapata Mountain range can be seen in the distance. To access the dunes you must walk across the beautiful seasonal Medano Creek – be sure to wear practical footwear and to avoid walking barefoot as the dunes can reach staggering temperatures in the summer months. The Big Bend National Park is located at the US/Mexico border in the southernmost region of Texas. This park contains the largest area of Chihuahuan Desert in the US and contains a huge amount of wildlife and plants. Although this park is one of the largest within the States, it is also one of the least visited due to its remote location. Hiking and Backpacking are the most popular pursuits and many people take to the park to embark on epic journeys along the Marufo Vega Trail and the Chimneys Trail. Additionally there are several companies who provide boat tours of the Rio Grande and it is also possible to visit the small Mexican village of Boquillas. 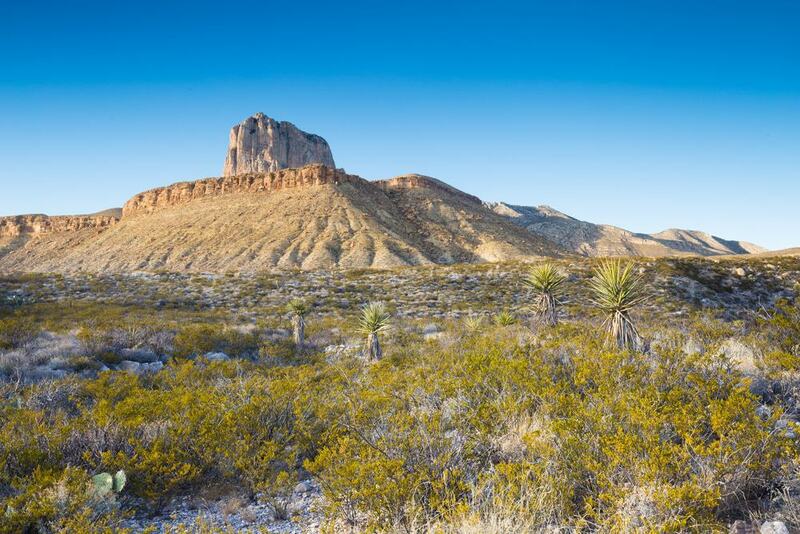 If you venture into Texas, be sure to head on down to Big Bend to witness this epic wilderness. 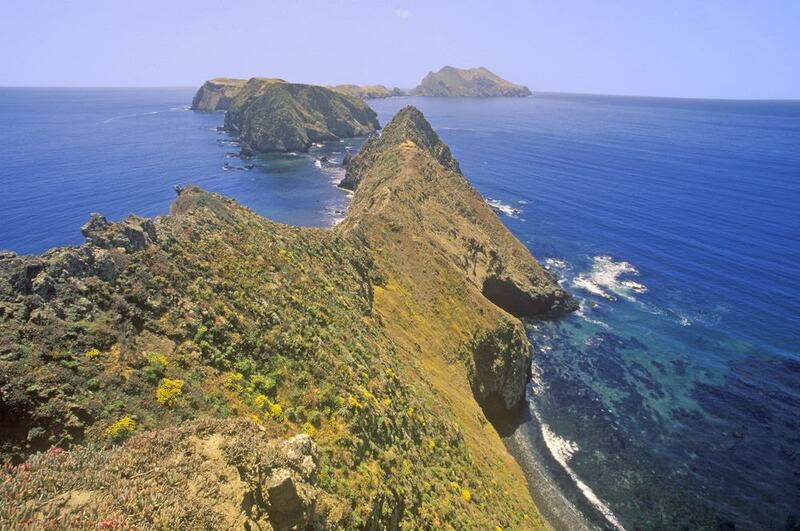 The Channel Islands are an archipelago of eight islands that sit off the coast of California near Los Angeles. 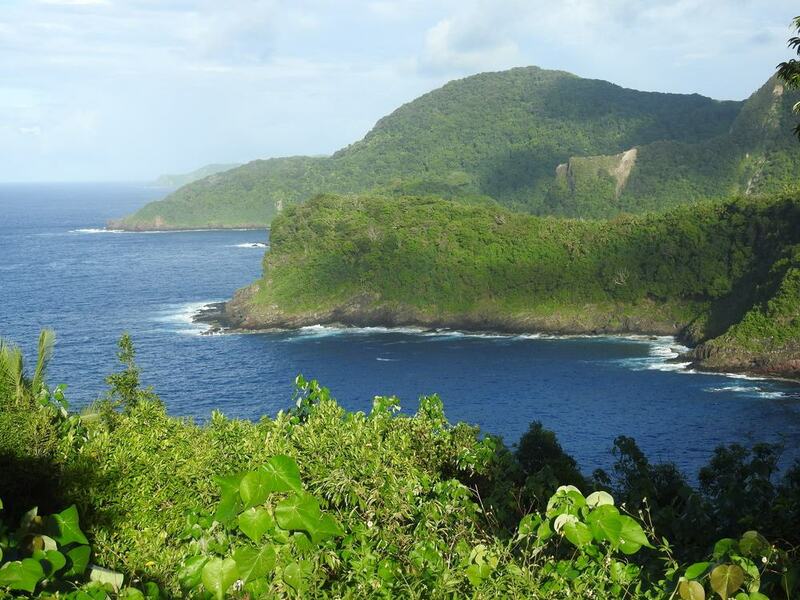 Five of the islands have been designated a National Park and contain some stunning and unpolluted habitation that has been relatively undisturbed by man. The Park encompasses the islands of San Miguel, Santa Rosa, Anacapa, Santa Barbara and Santa Cruz plus the surrounding waters. A main attraction visitors come for is to see the various marine creatures that inhabit the waters such as Sea Lions, Dolphins and Whales. It is also possible to camp on Santa Cruz Island, and many people take kayaking tours of the wondrous cave systems on the islands. Scuba diving, spear fishing and day hiking are also popular activities. The Kenai Fjords are a natural phenomenon in the Gulf of Alaska that covers an area of 669,000 acres. This network of Fjords is known for the impressive Harding Icefield which is one of the largest ice fields in the states. 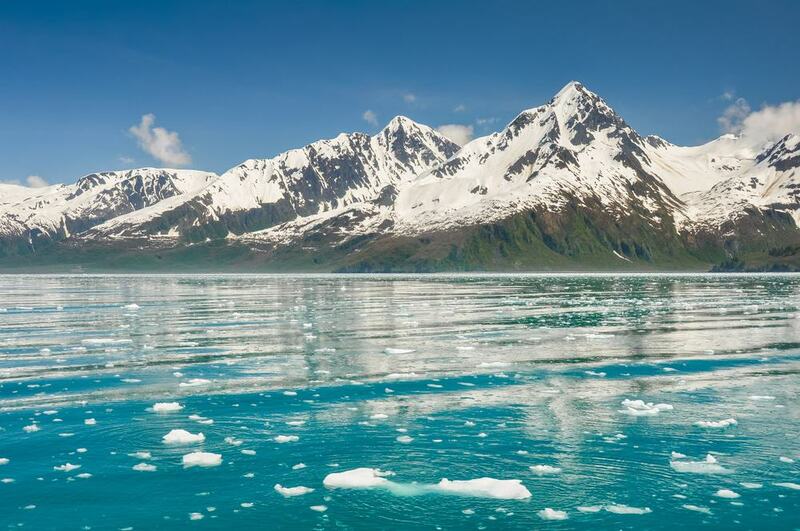 Located in close proximity to the down of Swears, Kenai is a popular place for cruise ships to visit and most people will take boat tours through the ice fields and to see the mighty glaciers. Notable landmarks within the park include the aforementioned Harding Icefield, Aialik Glacier and Bear Glacier Lake. This park is also known for its fantastic wildlife sightings and visitors can witness such species as Sea Otters, Humpback Whales, Dolphins and Orcas. Aside from boat tours, the park also has several camp ground and hiking opportunities for those who wish to experience this immense landscape up close. Voyageurs National Park sits on the border between the United States and Canada and consists of a large network of waterways near the town of International Falls. Within the boundaries of the park there are four major lakes – Kabetogama, Rainy, Namakan and Sand Point. Major activities within the park include camping, fishing, boating and hiking. Those who wish to camp can do so at one of the 175 sites; whilst those who wish to fish, can do so at one of the many lakes in the park. Kayaking, canoeing and motorboat tours are the among the most popular forms of boating activity and most people will take to the waters to explore Voyageurs. In winter, the landscape becomes frozen and snowmobile trails are opened for public use. The Grand Canyon is not the only impressive canyon in the states and there are many other natural wonders such as the Black Canyon of the Gunnison. This canyon can be found in the western region of Colorado beneath the Grand Mesa National Forest and covers an area of 30,000 acres. 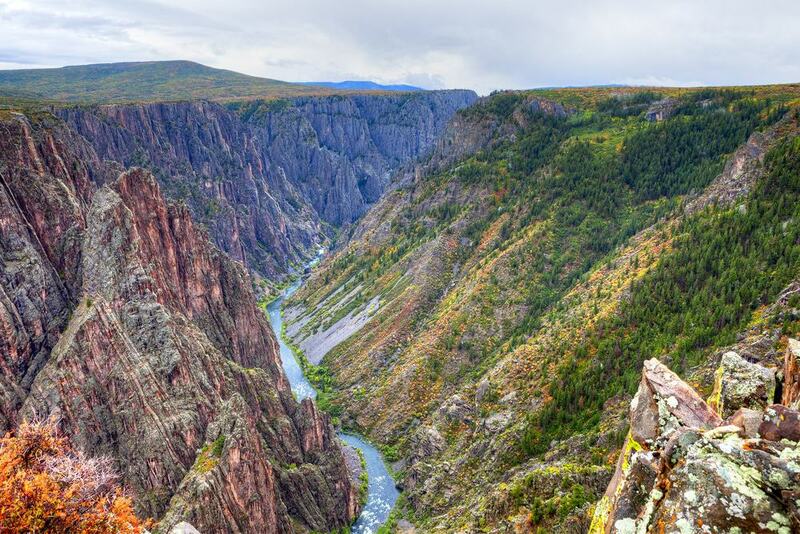 The Gunnison River runs through the middle of the canyon and has formed this natural spectacle over thousands of years – the park is named after the river, and the coloration of some of the surrounding canyon cliffs. Many people enjoy the scenic drive along both Highway 50 and Highway 92 which both pass over sections of the canyon. Furthermore, there are several fantastic hiking trails that snake along the edge of the canyon and provide stunning views of this gorgeous landscape. 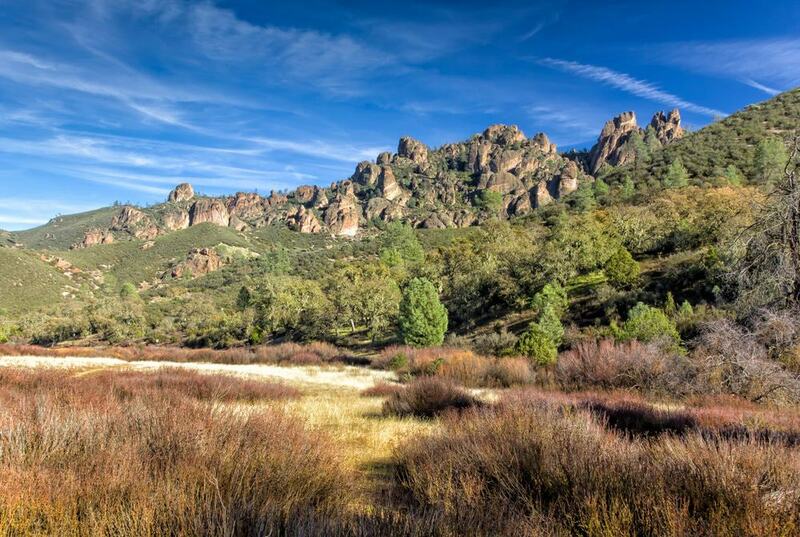 The Pinnacles National Park can be found near the western coast of California to the south of San Jose. This park gets its name from the eroded peaks that sit in the centre of the region – these pinnacles are remnants of an extinct volcano. The park is split into two separate regions; each of which has a different entrance on Highway 146. Popular activities within The Pinnacles include hiking, rock climbing and cave exploration. In springtime, the park bursts into color due to the large amount of wildflowers that blossom here. Within some of the caves, it is possible to see Townsend’s Big-Eared Bats, although during breeding season the caves are off-limits. The Guadalupe mountain range is one of the most impressive and tallest in the state of Texas. 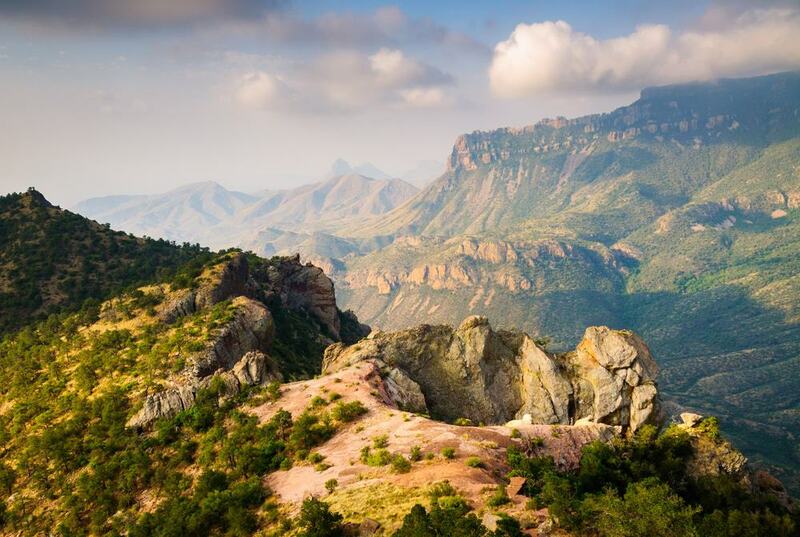 This mountain range constitutes the Guadalupe National Park and is a fantastic landmark within the western region of this state – the nearest major city is El Paso on the US/Mexican border. The highest point of the park is Guadalupe Peak itself that stands at 8749ft high with the iconic El Capitan following closely behind. Aside from the Guadalupe Mountains themselves, the park also contains other features such as Manzanita Spring and the gorgeous McKittrick Canyon. The intrepid adventurer will attempt to hike the fantastic Guadalupe Peak Trail which passes over the peak of the mountain and offers the best panoramic views of this beautiful and rugged landscape. Horse Riding and ranching are also popular activities. 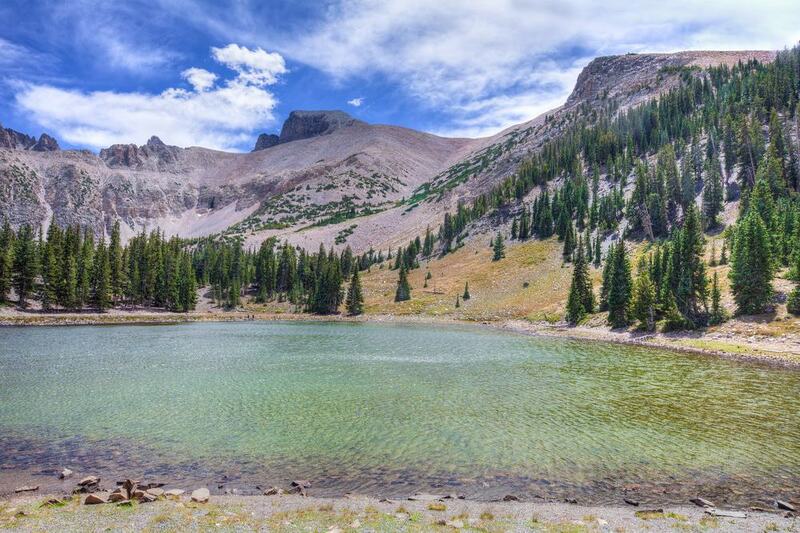 The Great Basin National Park is a varied landscape on the eastern side of Nevada and contains some fascinating natural landmarks and features. The park is well-known for its bristlecone pines, Wheeler Peak and the Lehamn Caves. Part of the Great Basin Wilderness is covered with huge conifer forests and you can see over 800 different species of tree and plant. Additionally, numerous wildlife species live within the park including chipmunks, elk, ermine and cougars. 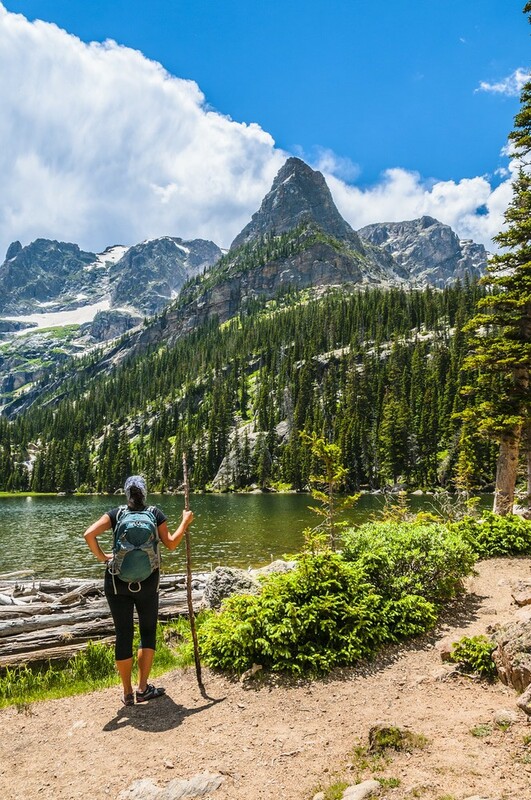 Aside from the flora and wildlife, the park has a range of other natural features including Stella lake, Wheeler Peak Glacier and the Lehman Orchard and Aqueduct. Many visitors come to the Great Basin to see the Lehman Caves due to their interesting rock formations and guided tours are available. 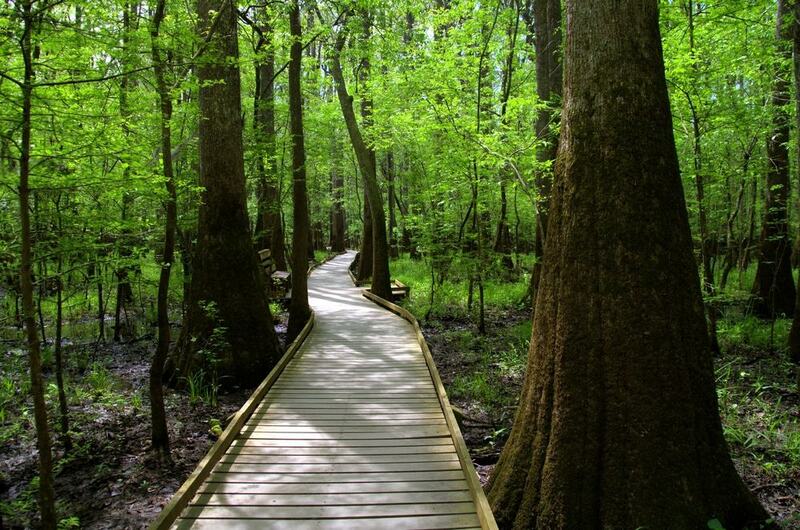 Congaree National Park is the only designated National Park within the state of South Carolina and is one of the most recent additions to the National Park repertoire. This park is a preserve for the largest section of Old growth hardwood forest in the United States and the Congaree River also flows through the park in a winding path from east to west. Much of the parkland is covered in swamp and groves that are covered with the vast forests and this is a perfect place to explore by kayak or canoe. Furthermore throughout the park you can find a range of basic campsites and tour guides offer hiking and bird watching tours. One of the main attractions is the 3.9km boardwalk that winds through one of the protected swamp areas and provides a first-hand look at this ancient landscape. Wrangell St. Elias is the largest National Park in the United States and covers an immense area of 13.1 million acres. The park includes the Saint Elias Mountain range among other Alaskan mountains and also contains dozens of Glaciers and Icefields. Attractions and features within this epic park include the abandoned mining town of Kennecott, the Kendesnii campground, the Nabesna Glacier and the Chitina River. 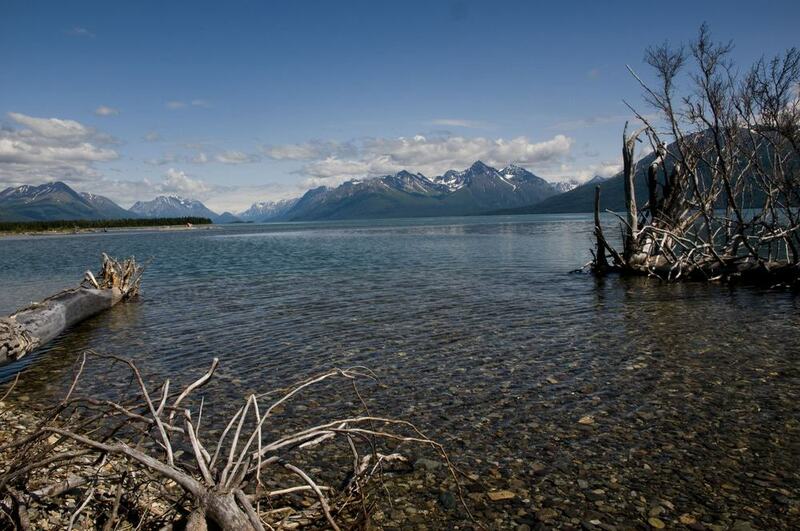 As with the Gates of the Arctic National Park, Wrangell is a true wilderness and is only usually visited by those who love the outdoors and adventure. The Dry Tortugas is a series of keys off the southern coast of Florida and the southernmost keys in the chain from Key West. The main feature of this National Park is Fort Jefferson – this is an immense unfinished coastal fort that was created in the 1800s’s. Guided tours of this fort are available and provide an interesting look at American history. Aside from Fort Jefferson, the islands are also a hotspot for snorkelling and scuba diving due to their clear waters and abundance of marine wildlife. Furthermore, the islands contain over 200 different birds species such as pelicans, boobies and terns. 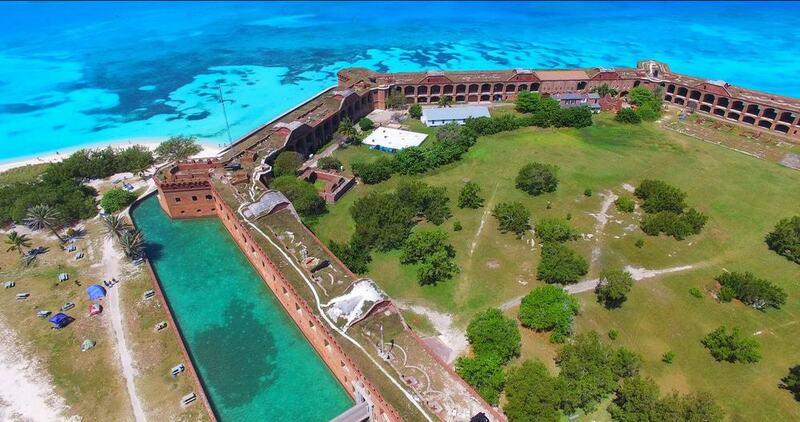 When visiting the keys, a boat trip to Dry Tortugas is definitely a worthwhile adventure. The Katmai preserve is a beautiful region on the coast of Southern Alaska and is known for the Valley of Ten Thousand Smokes and its population of Alaskan Brown Bears. 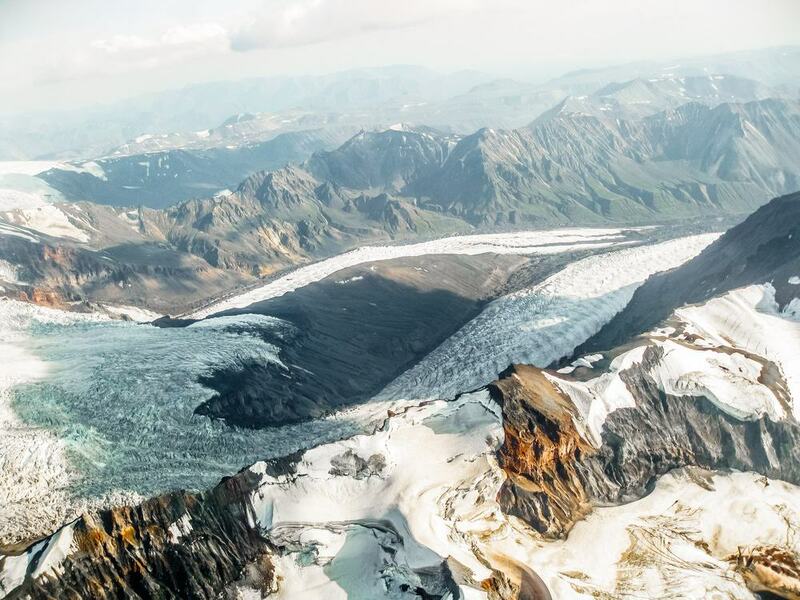 Located on the Pacific side of the Alaska Peninsula, Katmai has several large bodies of water and lakes such as Kukaklek Lake, Nanek River and Alagnak River. Furthermore, the park contains several active volcanoes and huge mountain ranges such as Mount Katmai and Mount Mageik. Popular activities within the park include hiking, camping, fishing and kayaking. 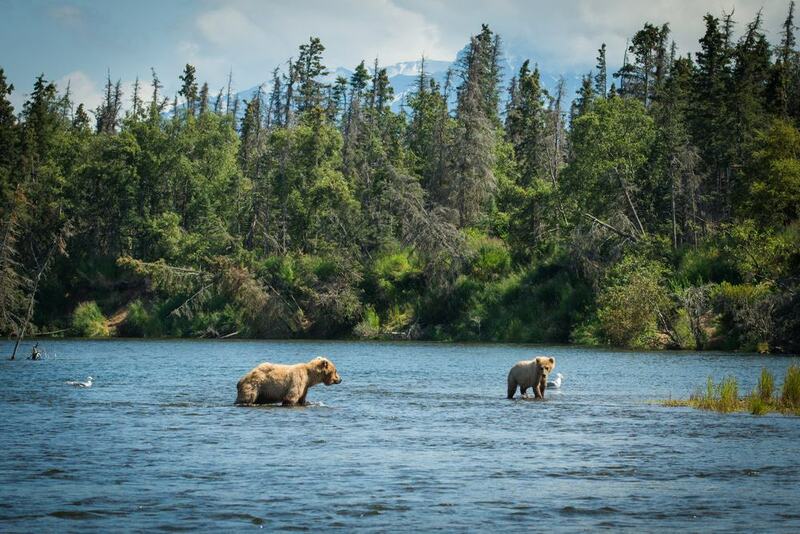 Moreover, many people visit Katmai to see the Brown Bear in its natural habitat – you can watch these majestic beats catching salmon from Brooks Falls. American Samoa is an Island chain that is defined as United States overseas territory and the American Samoa National Park is spread across three of these islands – Tutuila, Ofu and Tau. This island chain is known for its picture perfect beaches and luscious undisturbed rainforest ecosystem. Ofu is the smallest island and has a fabulous beach and several guesthouses. Tau is slightly larger and has some wonderful hiking trails that wind around the coast and through the mountainous rainforests. On the island of Tutuila, the National Park can be found in the northern region and includes the small village of Vatia and Afono. Many people visit Samoa to escape and to relax on its beautiful beaches, and others come to see its gorgeous rainforests. The North Cascades is a large wilderness area on the northern region of the state of Washington close to the Canadian border. This park is part of the greater North Cascades Service Complex that includes the adjacent wilderness in British Columbia. Within this epic wilderness you can find a range of huge mountains such as Mount Baker and Mount Triumph. Furthermore, many of the mountains contain glaciers such as Never Glacier and Lower Curtis Glacier. 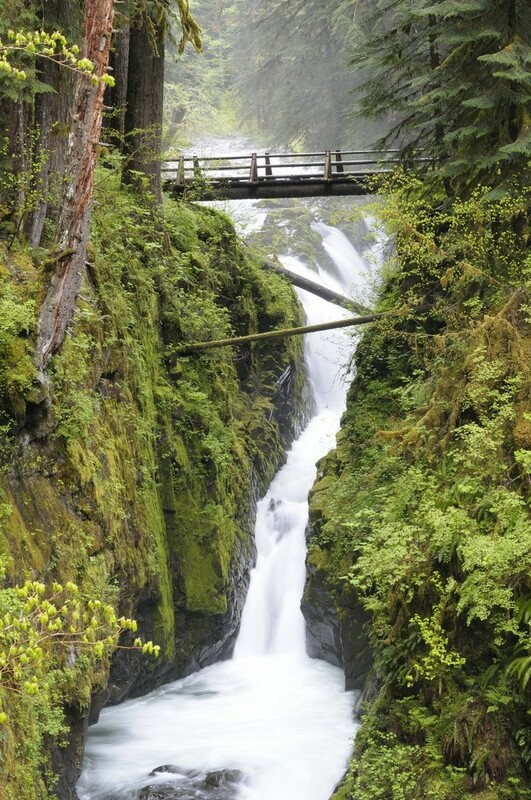 The Cascades are also known for their abundance of flora and you can find over 1600 species of plant within the park including old growth forest. Most people backpack through the wilderness and attempt to climb some of the mountains or head for the beautiful Cascade Pass that was once used by Native Americans. 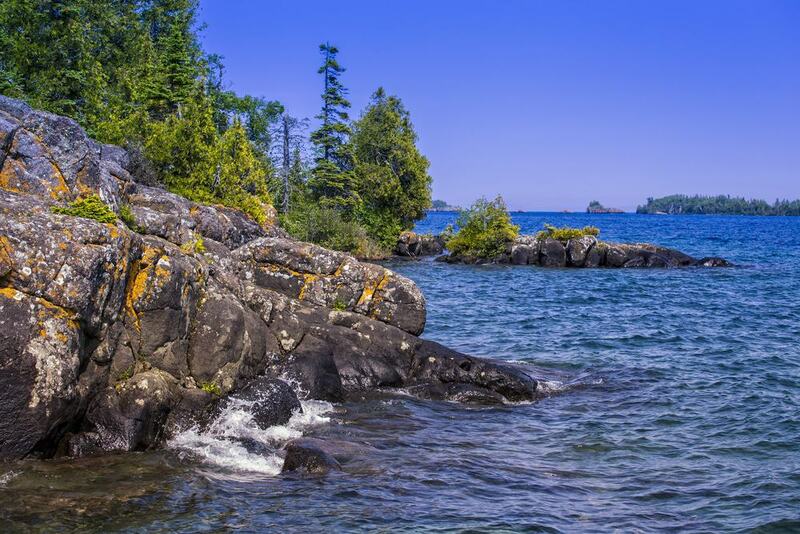 The Isle Royale is an immense island in the northern part of Lake Superior in the state of Michigan. The park is both a National Wilderness and an International Biosphere Reserve and covers an area of 894 square miles. There are no roads on the island but there is a myriad of hiking trails that wind through the forests and coastal areas. Furthermore the dramatic coastline is rugged and rocky and provides some amazing photographic opportunities. At the southwestern edge of the island there is a campsite and a handful of rustic cabins, whilst at the north end there is camp store and a boat dock. Many people visit the island to camp and to traverse across the immense Greenstone Ridge Trail that runs from one end of the island to the other. Lake Clarke is a beautiful part of Alaska and stretches for approximately 69km in length – this lake and the surrounding landscape constitutes the Lake Clarke National Park that was established in 1980. This park contains many natural features and has a varied landscape including two volcanoes (Mount Redboudt and Lliamna), alpine tundra, glacial lakes and the Cook Inlet. This is one of the few national parks that can only be reached via plane or boat and there are no roads at all within the parks boundaries. 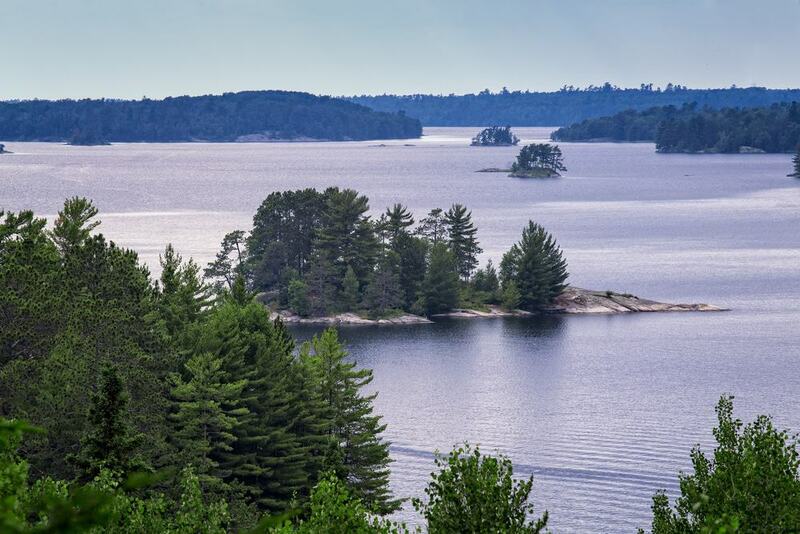 Popular activities within Lake Clarke include kayaking and boating on the lake itself, rafting, hiking and camping – many people also visit the park to see the abundance of wildlife and flora, and some even travel to this region to hunt and fish. Kobuk Valley is a true spectacle and one of the most impressive regions in northern Alaska. This area was designated a national park in 1980 through the Alaska National Interest Lands Conservation Act. Kobuk is entirely within the Arctic Circle and there are no designated trails or paths in the park – visitors can simply explore this region freely and seek adventure in this vast wilderness. Within the park you can find the immense Great Kobuk Sand Dunes, and at certain times of the year, witness the epic Caribou migration. Furthermore, the broad wetlands are home to many species of fish and wildlife such as Salmon, Black Bears, Beavers and Alaskan Moose. 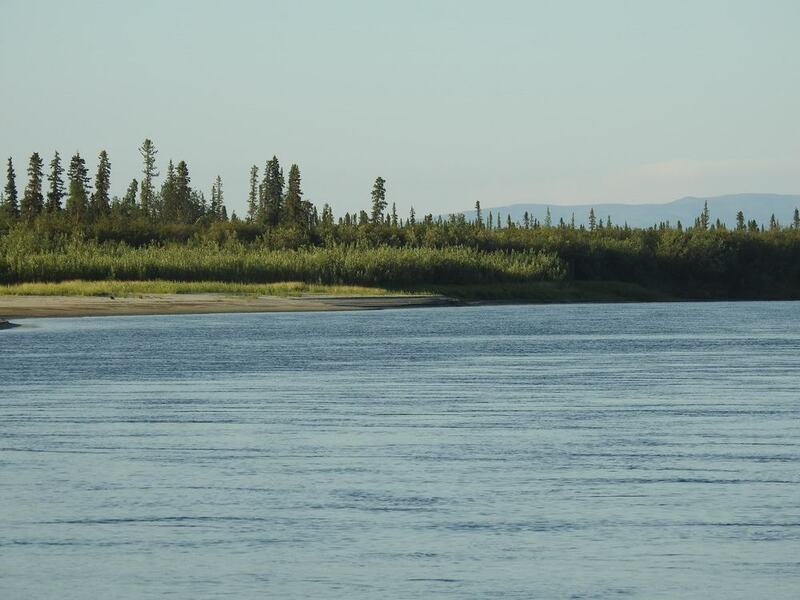 For the intrepid explorer, Kobuk offers something special and is one of the last untouched wildernesses in the states. The Gates of the Artic is the second largest National Park by area and is also the least visited with only 10,047 visitors in 2016. This epic wilderness is located entirely within the Arctic Circle and covers an area larger than Belgium. The Brooks Mountain Range occupies most of the park and there are no roads within its boundaries. Notable features within this remote but beautiful park include the Endicott Mountains, the Kobuk River and even portions of the Boreal Forest. For the intrepid explorer, this park is a true playground and the opportunities for hiking and camping are endless – due to its remote location and the lack of public services and roads, this park remains a mystery to most people but is still a fascinating landscape.